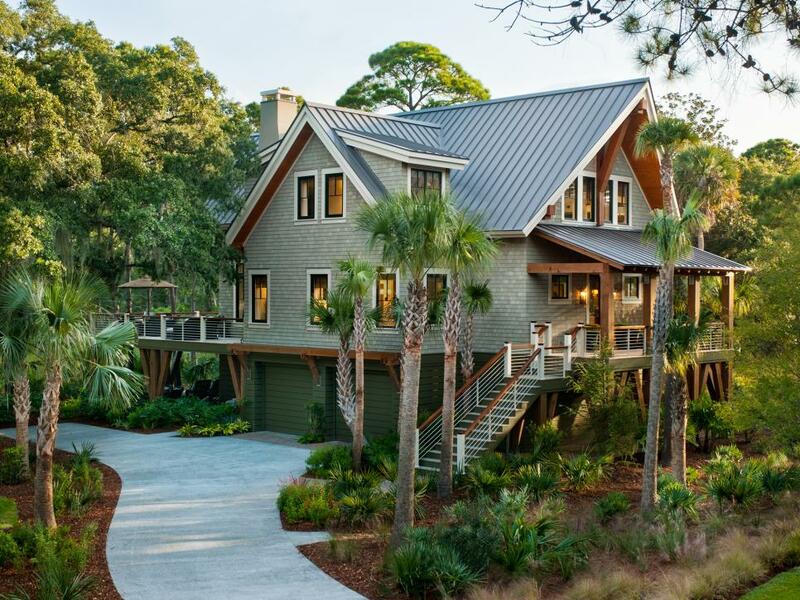 From 2018 all the way back to 1997, browse every amazing HGTV Dream Home, and discover tons of inspiration from these beautiful coastal homes, cozy cabins, modern farmhouses and more. An existing odd-shaped, two-story tower in the foyer that served no real purpose was removed, which gave this updated livable coastal modern home a more streamlined profile. The great room of this harbor home feels spacious and airy with floor-to-ceiling windows that overlook the Puget Sound. Painting the room in crisp white provides a bright backdrop for the large iron chandelier that anchors the sitting area. Neutral tones of moss, gray, brown, and blue create a relaxing and playful retreat in the master bedroom. 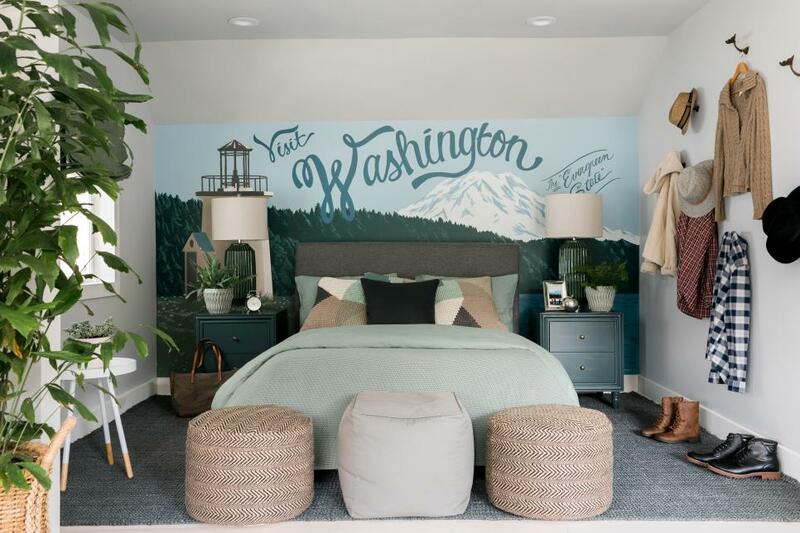 The natural elements balance with the custom painted Visit Washington mural that gives the space a vintage Northwestern vibe. 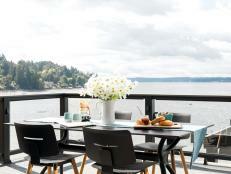 From the floor to ceiling windows to the patio and fire pit areas, the backyard of HGTV Dream Home 2018 keeps the focus on the waterfront views. 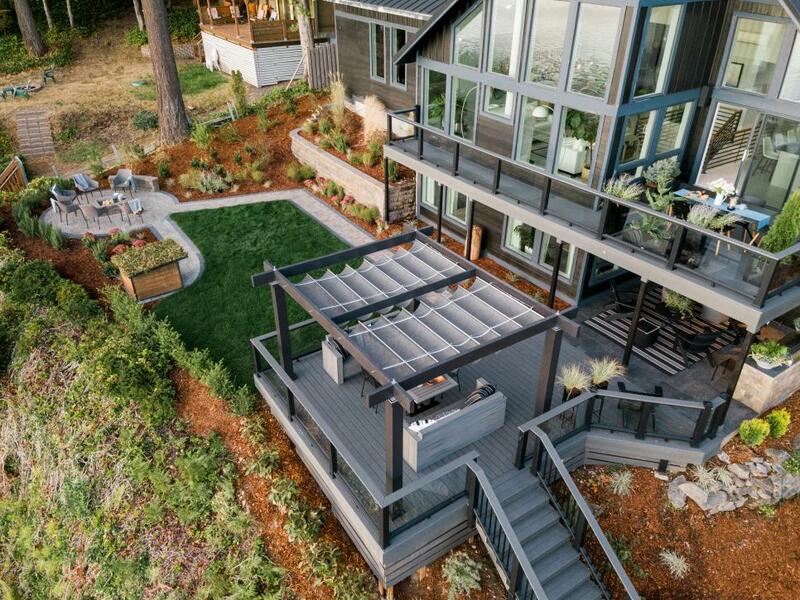 Using gray decking and gray stone pavers connect the outdoor living areas and complement the charcoal and black exterior color palette of the house. 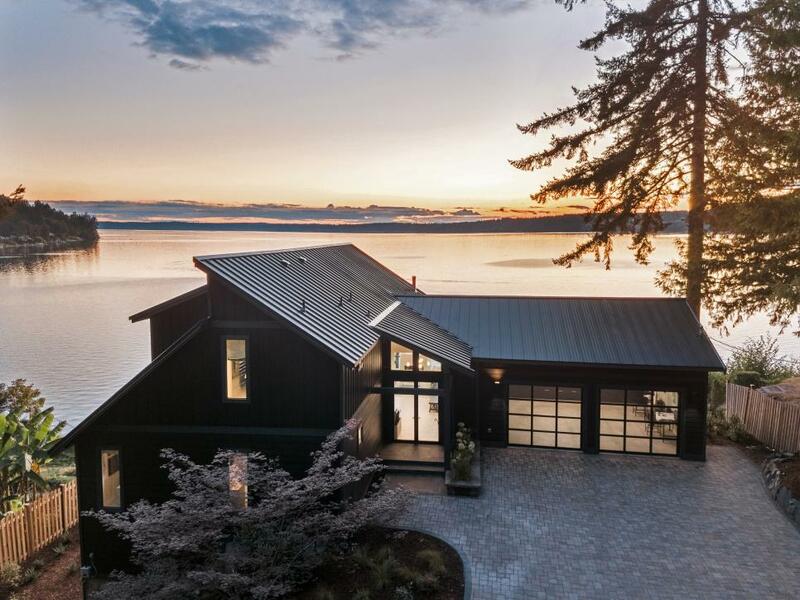 Browse all spaces from HGTV Dream Home 2018. The white color on the shake siding was baked on, while the trim details were painted black to create the strong contrast that gives this home a finished and polished look. Located right off the front entry of the home, the serene living room with beautiful views of the pool and backyard is packed with layers of texture and neutral colors that were inspired by the stunning landscape outside. The open kitchen, perfect for entertaining, has a woodsy chic vibe with a rich color palette of brown, gray and forest green inspired by the lush landscape outside. 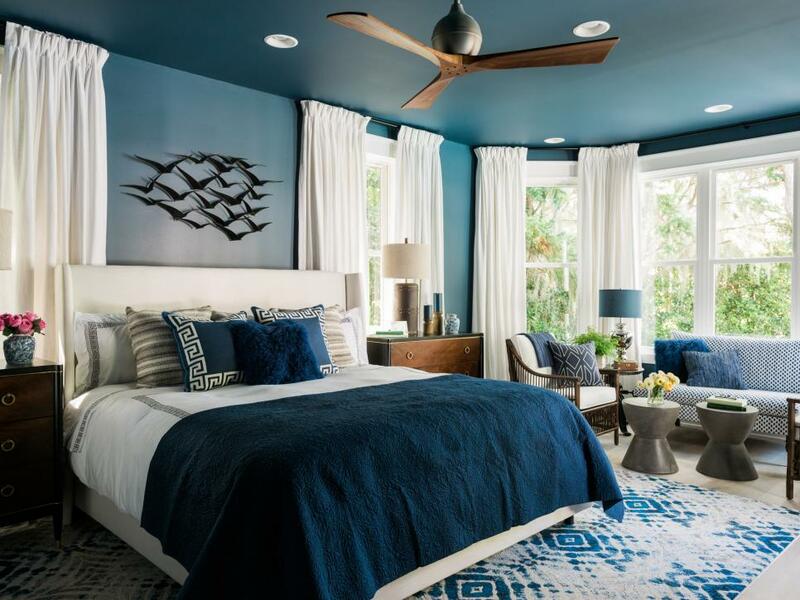 A color palette that combines a rich shade of navy blue with pure white accents and smart space planning makes this master bedroom with a global influence the ideal space for resting and relaxing. 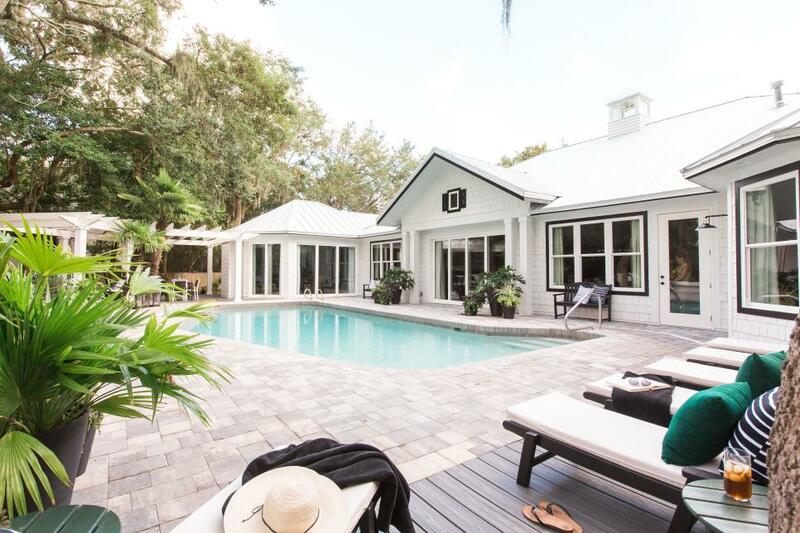 This view looking from the pool chaise lounge chairs toward the back of the home highlights how the property's cohesive color palette and fresh take on Southern style creates the ultimate waterfront escape. Browse all spaces from HGTV Dream Home 2017. 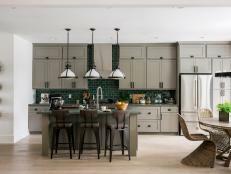 Instead of adopting the typical vernacular of Florida homes painted in tropical colors the design team at HGTV Dream Home 2016 took their cues from the styles of those found in the Hamptons on New York’s Long Island. All of the furniture in the sophisticated living room with soaring ceilings and a wall of French doors was arranged to enjoy the beautiful views. Not beachy at all, the kitchen is a study in elegant dark and light tones accented with shiny metal that adds an elegant touch. 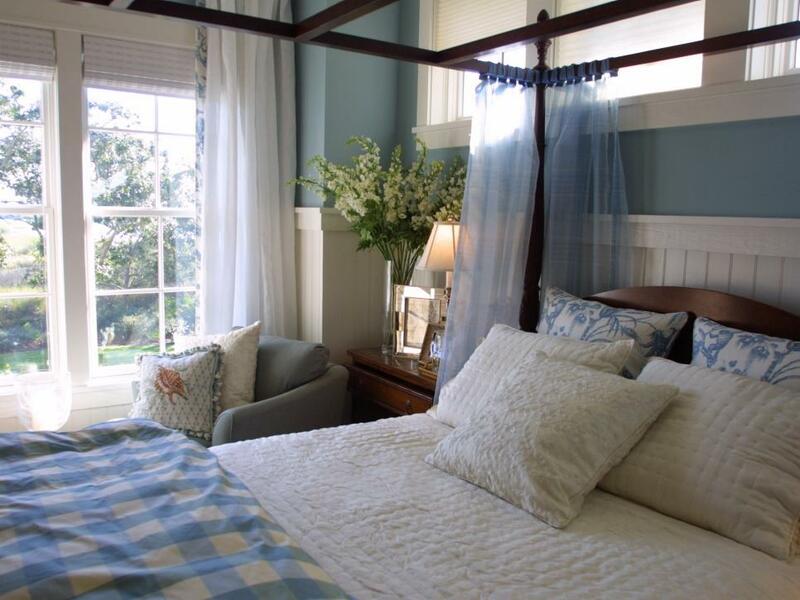 The space with the boldest color in the home, the second floor master bedroom with majestic teal walls and four poster canopy bed offers amazing views, comfort and a good dose of glamour. The raised sun deck and the outdoor living area are separated by a bank of palm trees to create distinctly different rooms on the lanai. 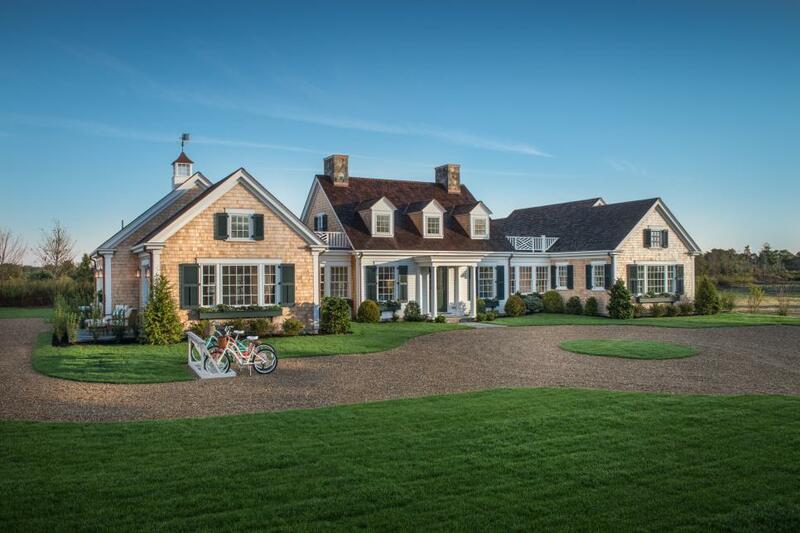 Browse all spaces from HGTV Dream Home 2016. 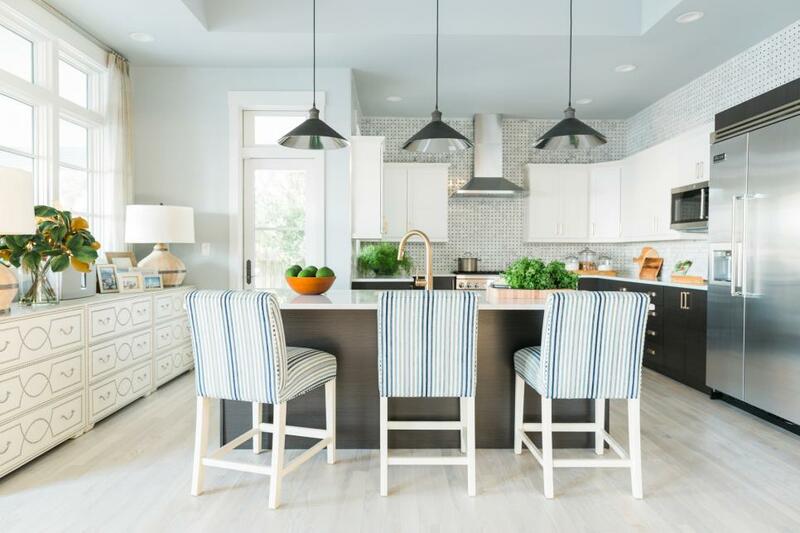 Your first experience when walking into HGTV Dream Home 2015, the charming kitchen is the ideal space for meal prep, entertaining and even dining. 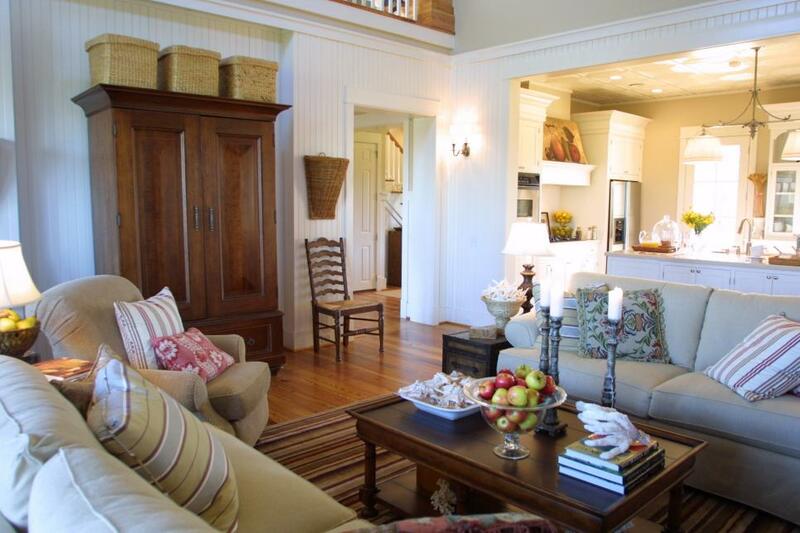 "This whole room is so beautiful in the detailing and the trim," explains the home’s interior designer Linda Woodrum. "And I think that’s really important to notice." 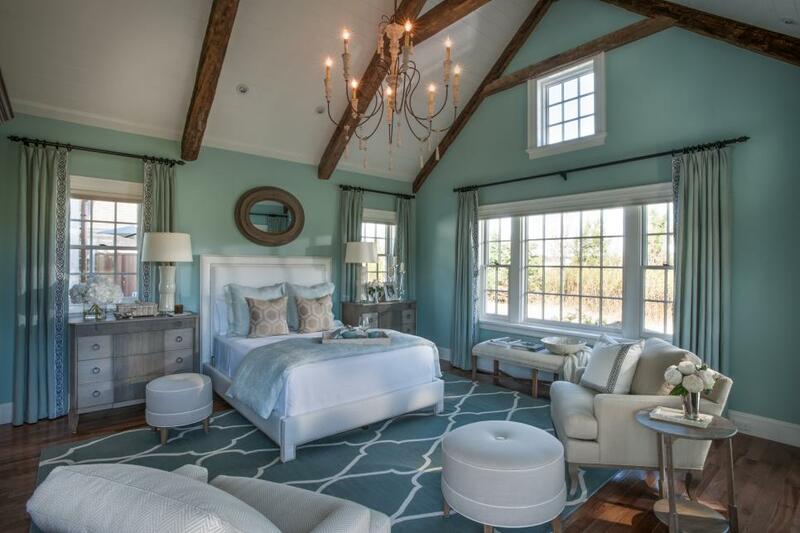 The master bedroom from HGTV Dream Home 2015 combines neutrals with calming shades of blue as a nod to the soft coastal style found in the Cape Cod home. According to interior designer Linda Woodrum, the space is intended to be a calming, tranquil room that makes its inhabitants instantly relaxed. 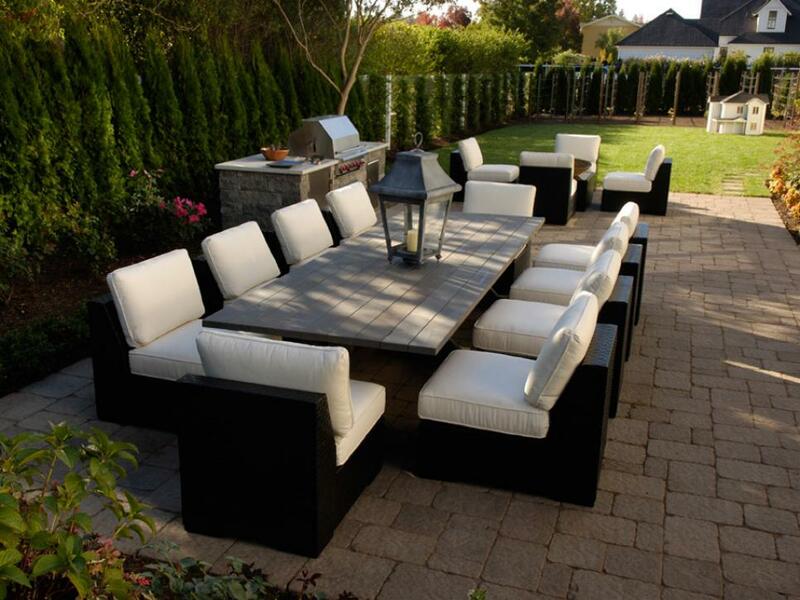 Invite family and friends to stay a while and continue outdoor entertaining on the expansive bluestone paved patio, furnished with an inviting teak seating and dining area. 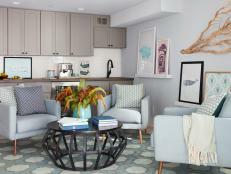 Browse all spaces from HGTV Dream Home 2015. 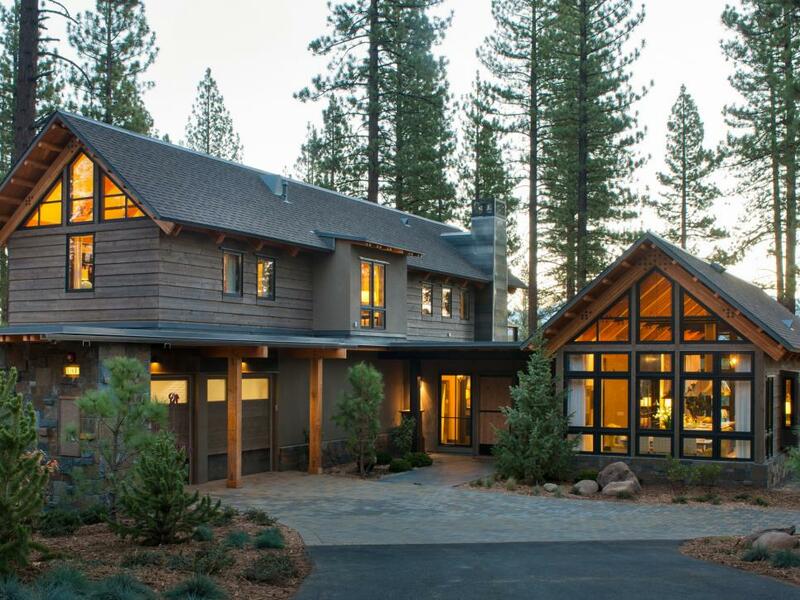 The front exterior view of HGTV Dream Home 2014, a vacation getaway located in Truckee, Calif., featured a stone driveway and evergreen landscaping. Floor-to-ceiling windows provide a peek into the home. 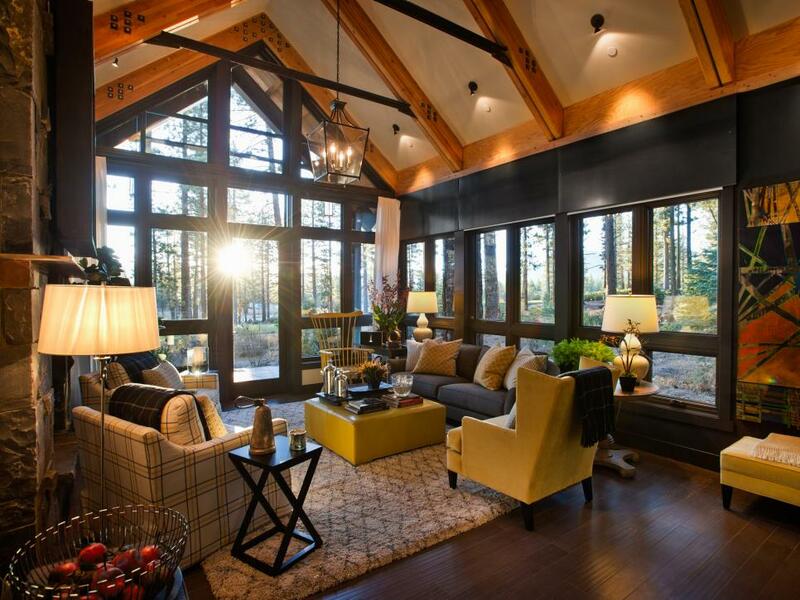 This spectacular rustic-modern living room, from HGTV Dream Home 2014, features a soaring A-frame ceiling and a striking wall of windows that showcases a wide grove of pine trees. Along with a modern gray-and-yellow palette, the space riffs on traditional cabin touches like exposed wood beams, plaid upholstery, and a classic rocking chair in high-gloss lemon. 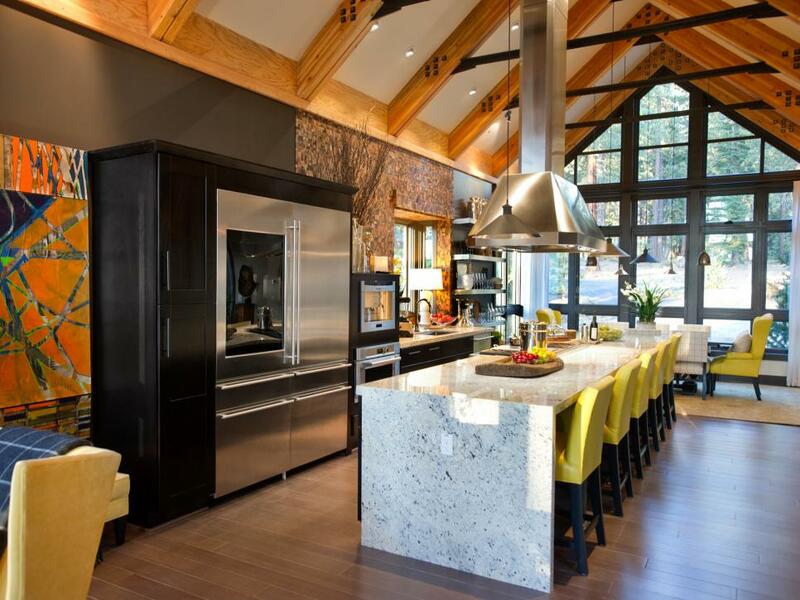 Brilliant fall foliage inspired the bright yellow hue of the leather upholstery that covers a series of bar stools in the open concept kitchen of the 2014 HGTV Dream Home. They cozy up to a granite waterfall island that's nearly 16 feet long. With a palette inspired by fall colors, the master bedroom from HGTV Dream Home 2014 combines rustic, masculine details with bold colors and graphic patterns to create a warm, inviting space. 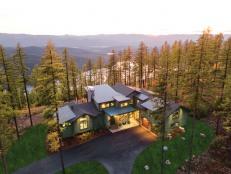 This HGTV Dream Home 2014 features floor-to-ceiling windows, showcasing a stunning view of nature. 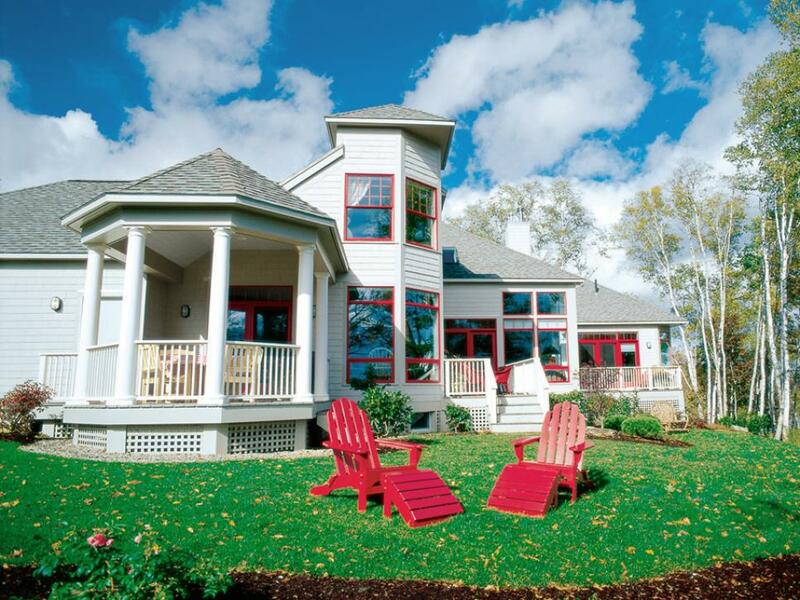 Outdoor seating and patio space make this the ideal vacation spot. 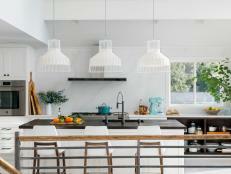 Browse all spaces from HGTV Dream Home 2014. 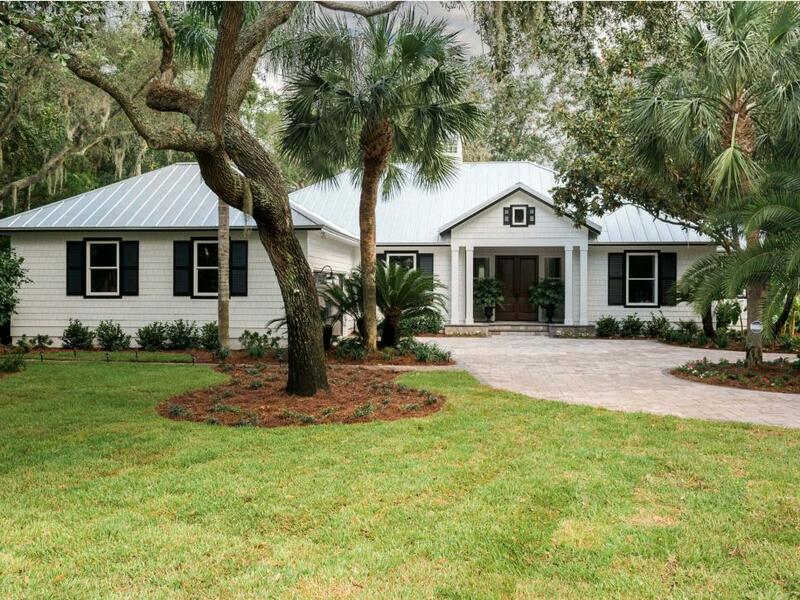 Styled after tidal farmhouses and Low Country cottages, this spacious raised home on South Carolina's Kiawah Island is surrounded by lush native landscaping. 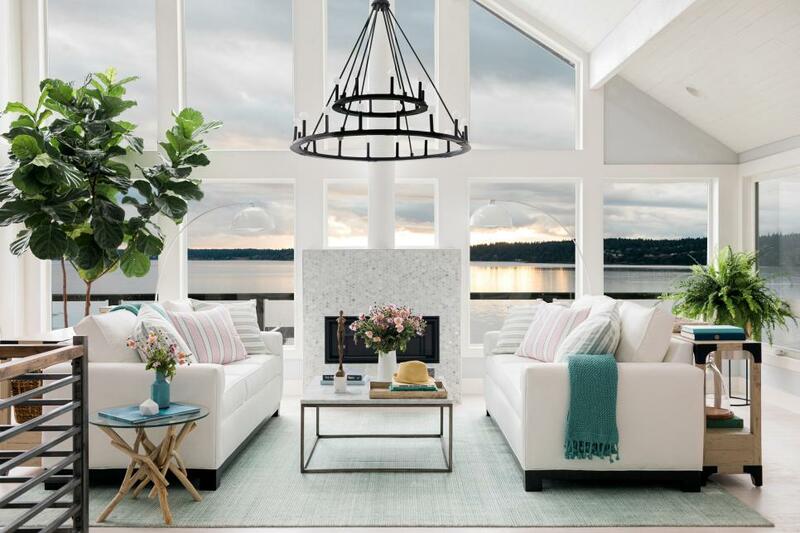 Soaring ceilings give this great room an airy vibe, though a soft color palette, modern fireplace and plush furniture balance the look, creating a more cozy space. In this transitional kitchen, German-manufactured cabinetry clads both the nearly 8-foot-long island and a unit that houses the refrigerator and pantry-style storage bins. 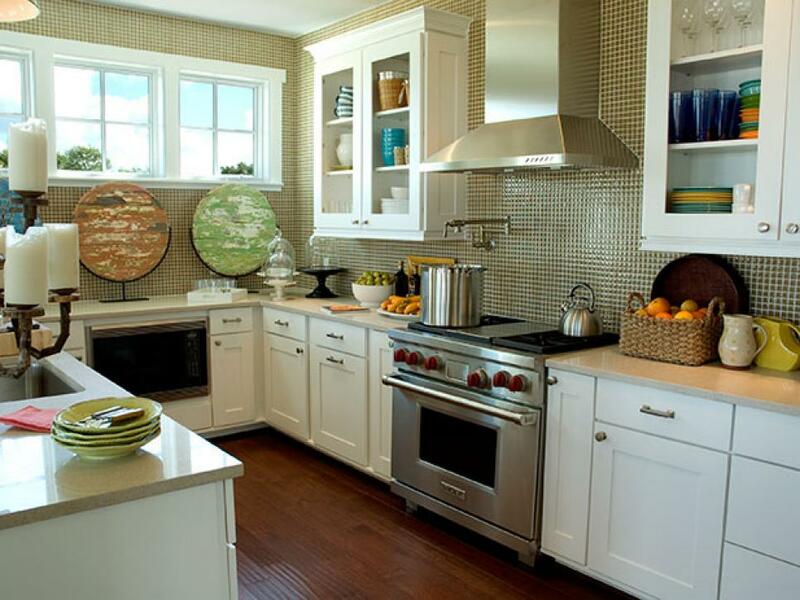 Ecru pine cabinets complements both countertops and stainless steel fixtures. A canopy poster bed, fashioned from mindi wood with Parson-style posts and a horizontal planked headboard, serves as the room's focal point. 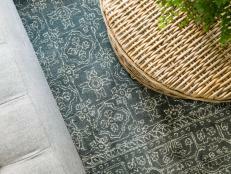 A Moroccan-inspired area rug in a neutral shade anchors the space. Two sets of French doors connect the great room to a warp-around deck, which is elevated 10 feet above ground level to offer stellar views. 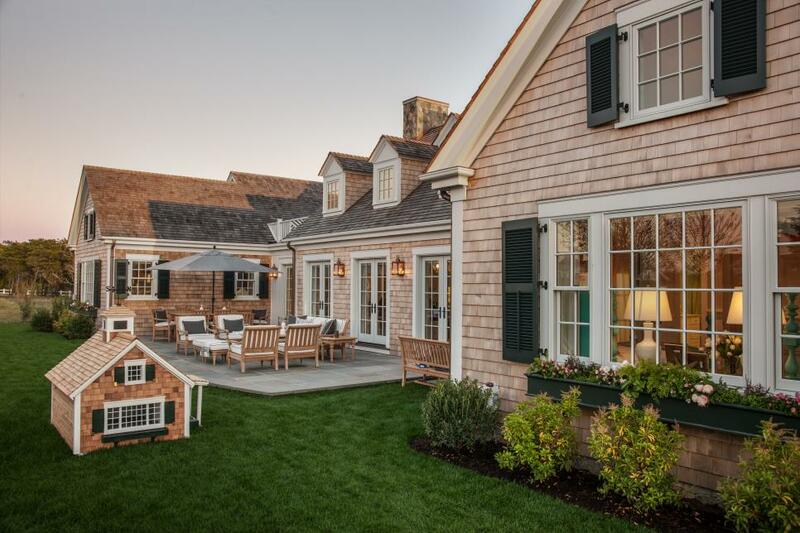 This luxurious outdoor space offers seating, dining, and even a pool. 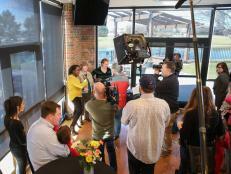 Browse all spaces from HGTV Dream Home 2013. 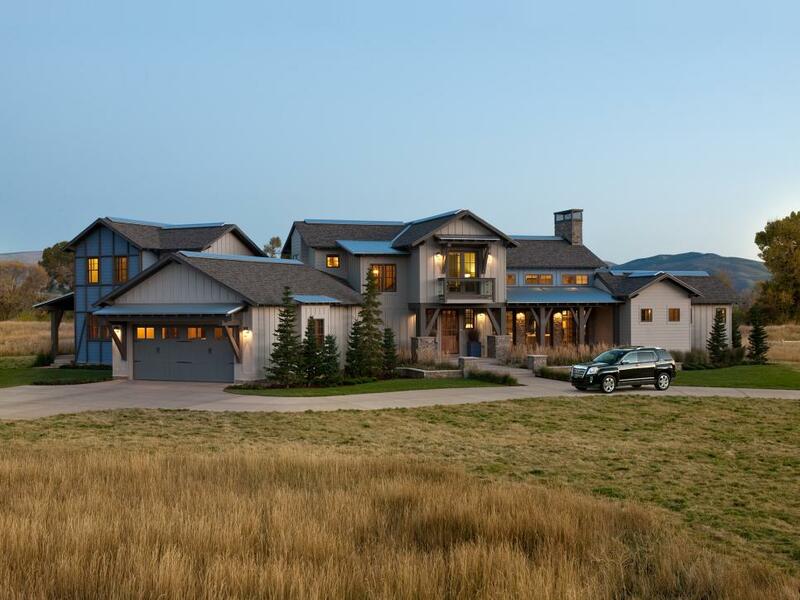 This sprawling rustic-modern ranch home in Utah features meadow-themed landscaping that connects to the home's mountain valley surroundings. 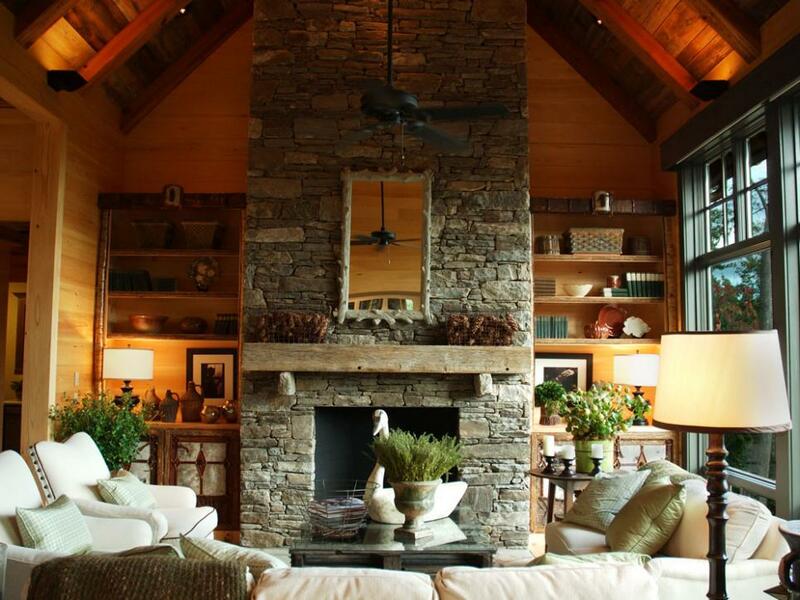 This expansive great room features floor to ceiling stone walls, as well as a stunning light brown trellis ceiling. The room takes a cue from country decor with blue and white plaid armchairs and floral multicolored paintings above the fireplace. 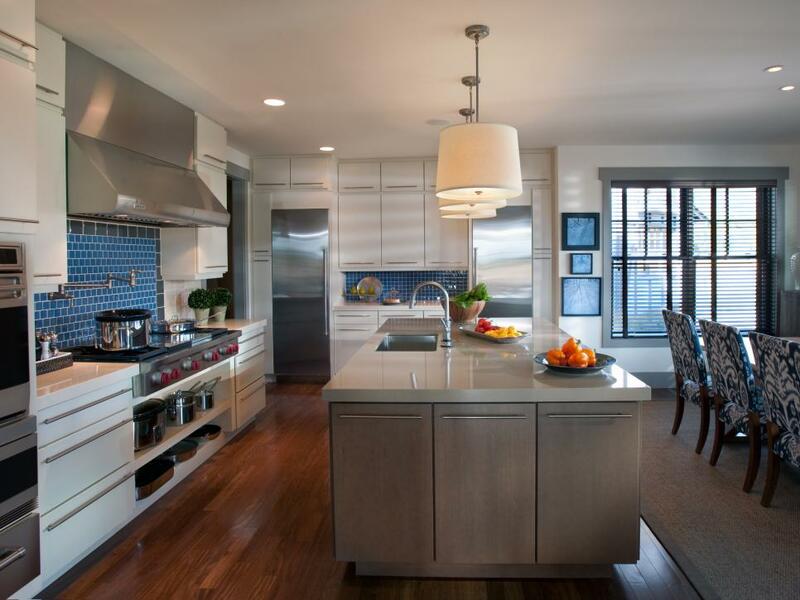 This modern white kitchen features a pop of blue color in its tiled backsplash areas behind its two countertop spaces. Stainless steel appliances and a muted gray kitchen island add a sleek look to the space, while blue and white floral chairs in the nearby dining area give the room a touch of flair. A striking gold transitional master bedroom features a lime green chair that coordinates with the lime green walls in the adjacent sitting room. 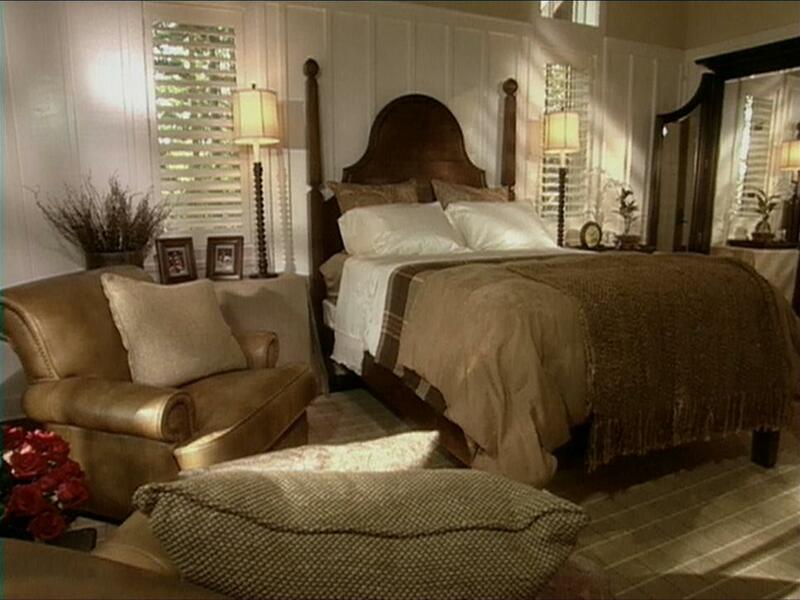 Copper accents in the bedding and throw pillows add elegance. 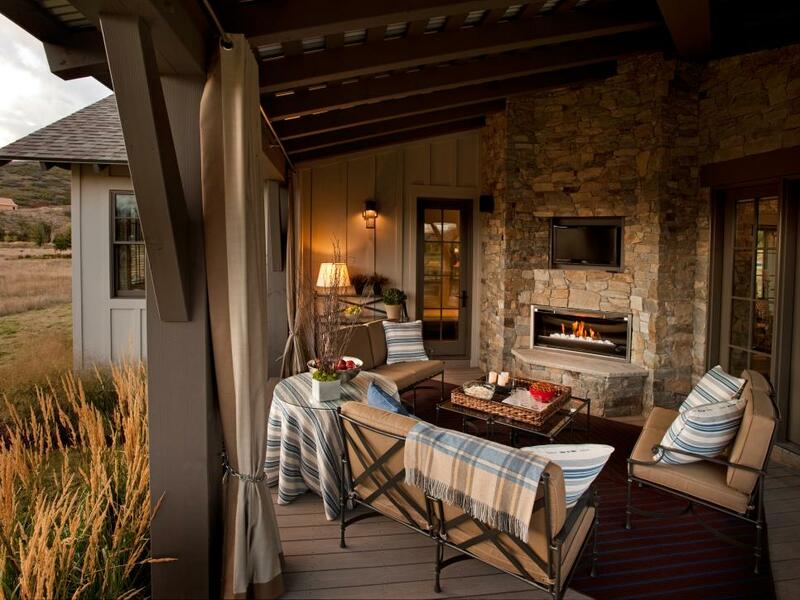 Relax by the fire or watch TV - or both, in this cozy outdoor living room. 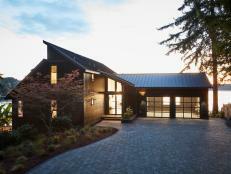 Browse all spaces from HGTV Dream Home 2012. 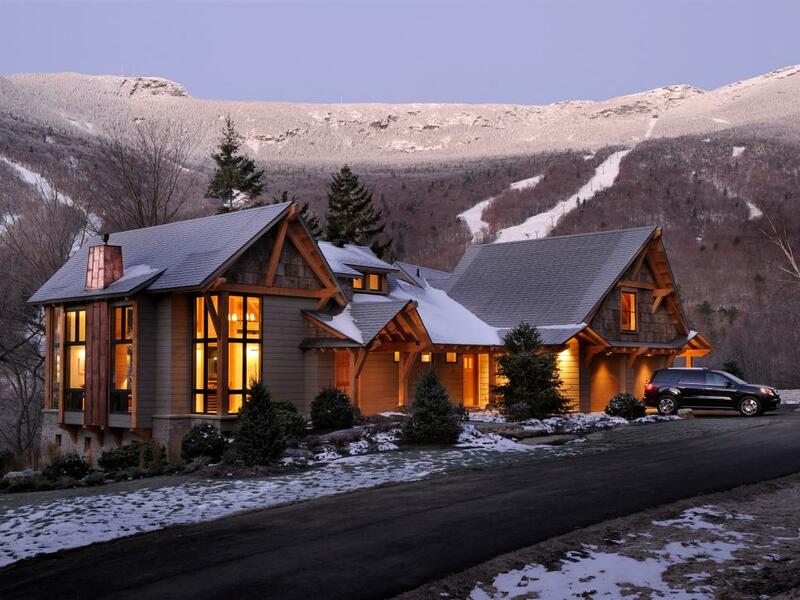 This lodge-style home is a beautiful place to enjoy the scenery of the mountains. 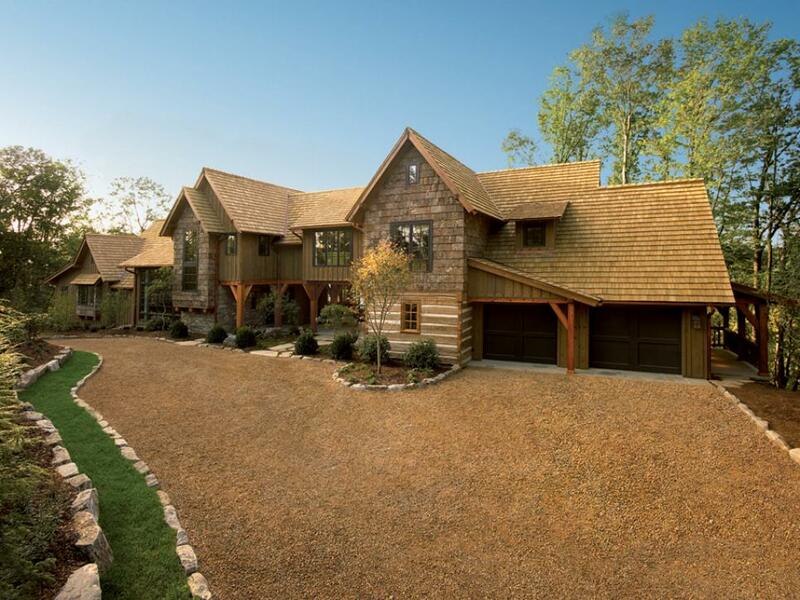 The home is built with rustic charm and a relaxing escape from the cold weather. 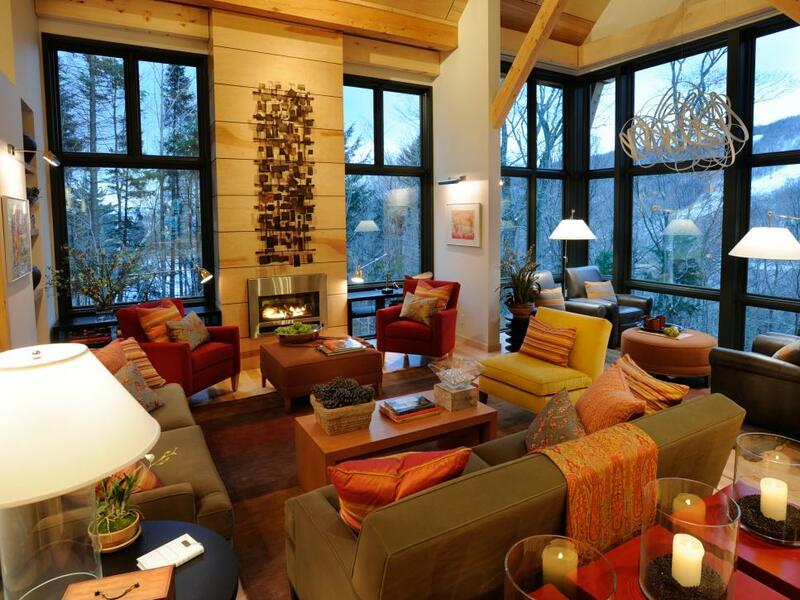 The modern living room from HGTV Dream Home 2011 is decorated in warm autumn shades and floor-to-ceiling windows that take advantage of the panoramic views of Stowe, Vermont. The expanses of wood, as with the fireplace chase, and natural accessories help bring the feel out the outdoors into the great room. 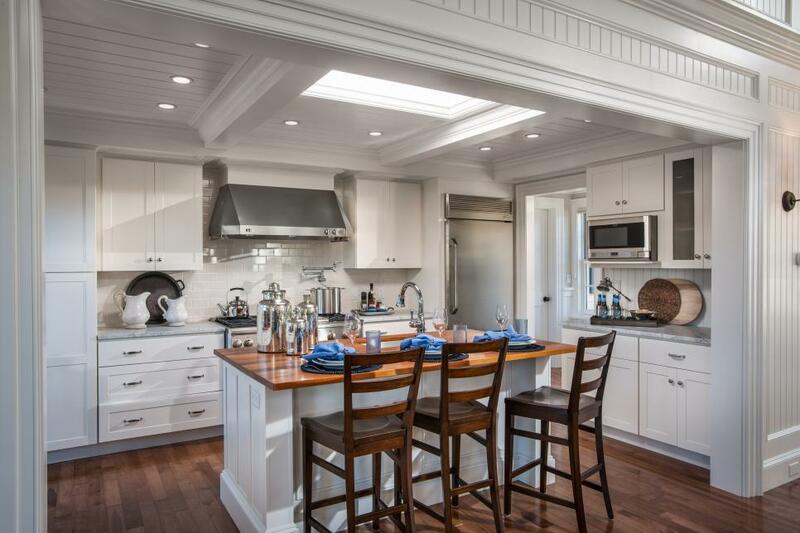 Vaulted ceilings with wood trusses create a grand kitchen area complete with stainless steel range hood. 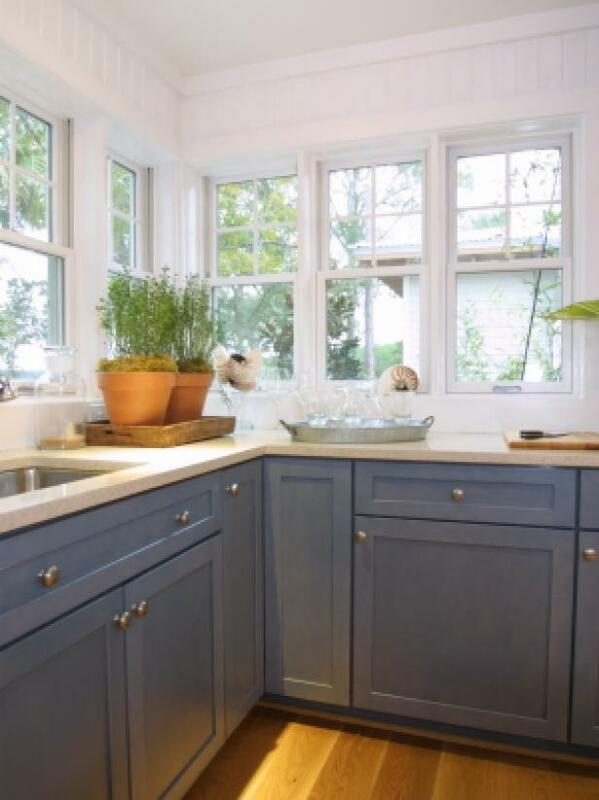 Charcoal-colored cabinetry and white quartz countertops ad contrast to the light wood finish. 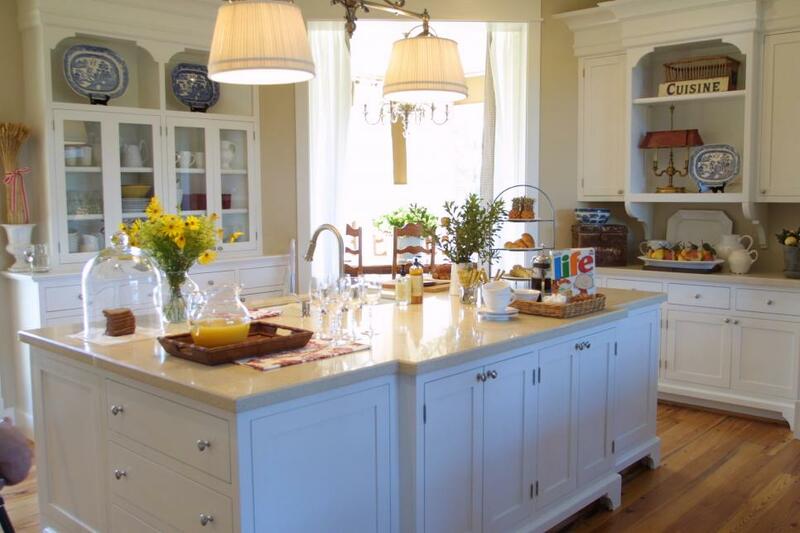 A large eat-in island provides extra storage space for entertaining. 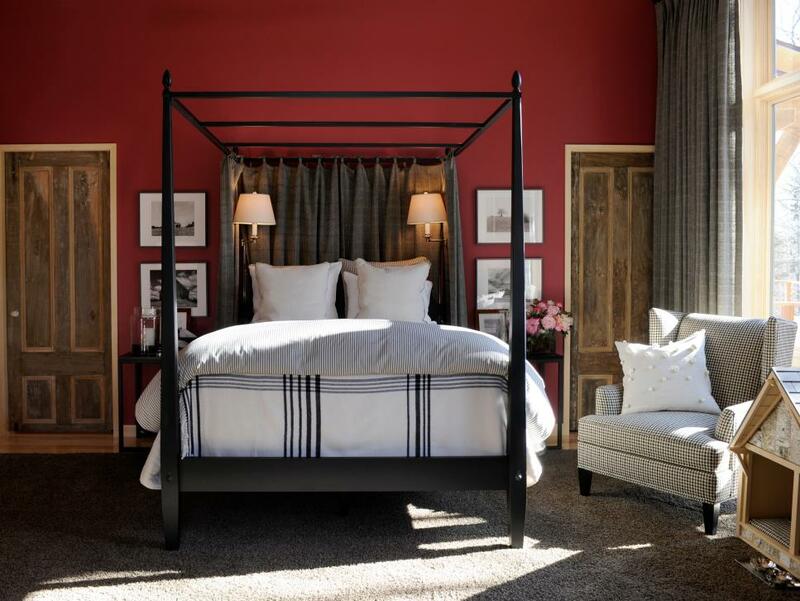 Black furnishings and men's-wear fabrics pop against walls painted a vibrant cranberry shade in the master bedroom of the HGTV Dream Home 2011. Turn-of-the-century walnut and poplar doors were stripped of paint and repurposed as pocket doors for the room. 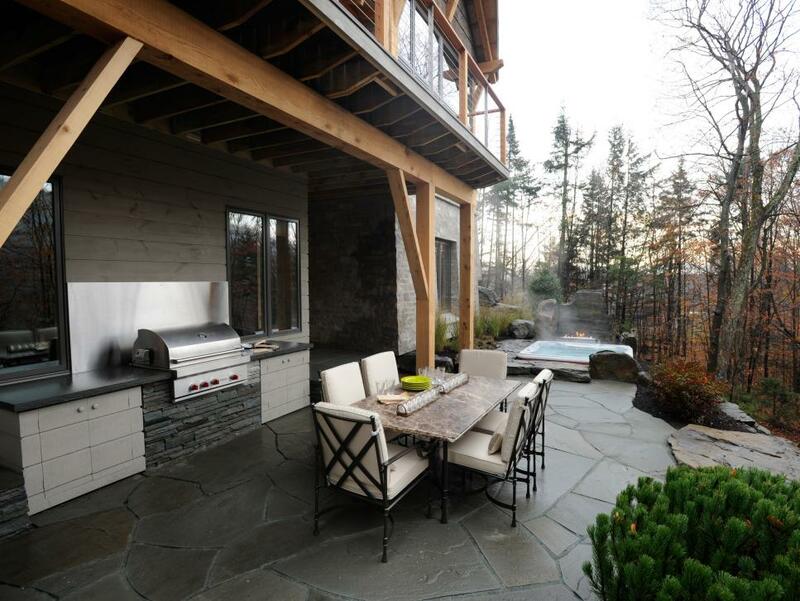 Slate paves HGTV Dream Home 2011's lower-level terrace, designed to accommodate guests with a grilling station, hot tub and outdoor dining table. 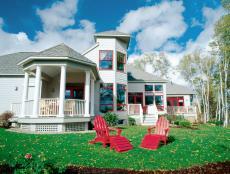 Browse all spaces from HGTV Dream Home 2011. 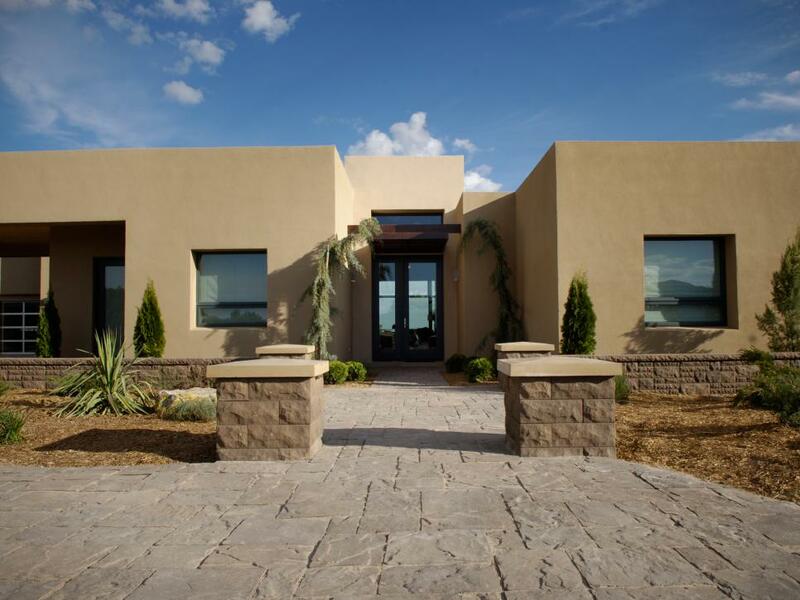 This pretty Southwestern-style home is accentuated by a stone walkway and native plants, including yucca, pine and two Arizona cypress trees flanking the front entrance. This contemporary sitting area pairs together sleek furniture with a Southwestern vibe, as seen in the desert-toned sofas and turquoise and animal-print throw pillows. 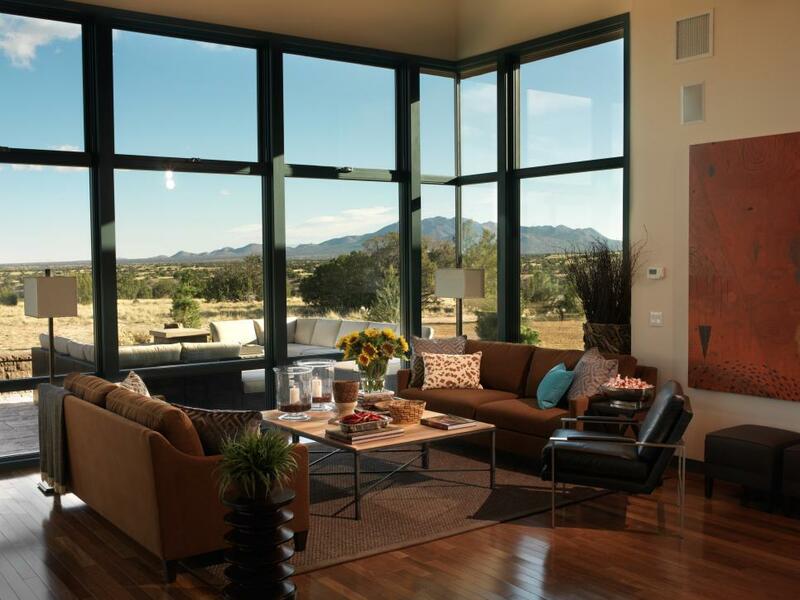 Large windows covering an entire wall give room to a stunning mountain view, as well as an outdoor patio area. 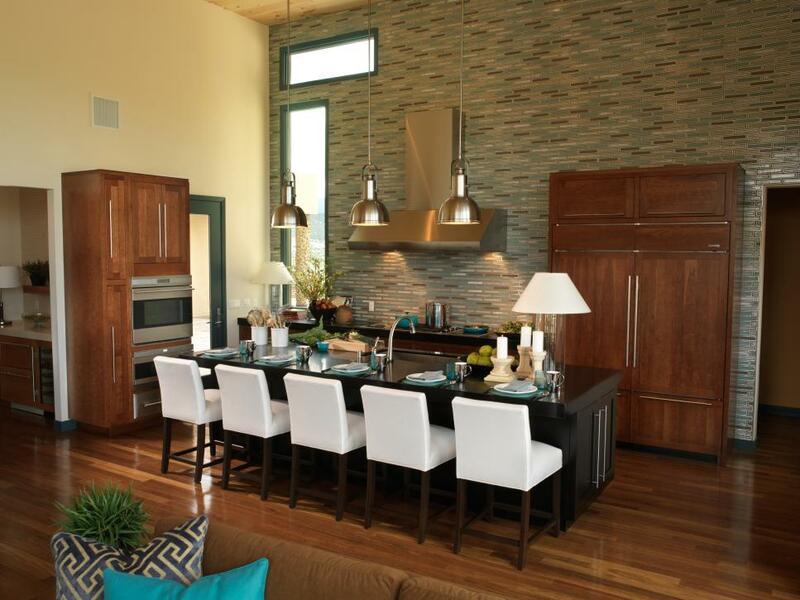 In HGTV Dream Home 2010, the kitchen is part of an open, great-room design that allows for easy entertaining. A floor-to-ceiling backsplash creates a dramatic focal point. With a view of glorious Sandia Park sunrises, this master bedroom offers a sophisticated, subtle masculine style thanks to well-chosen artwork, a unique chandelier, the leather headboard and the wood-plank ceiling. 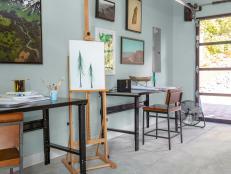 The sage green wall color was inspired by desert vegetation and complements the room's darker tones. 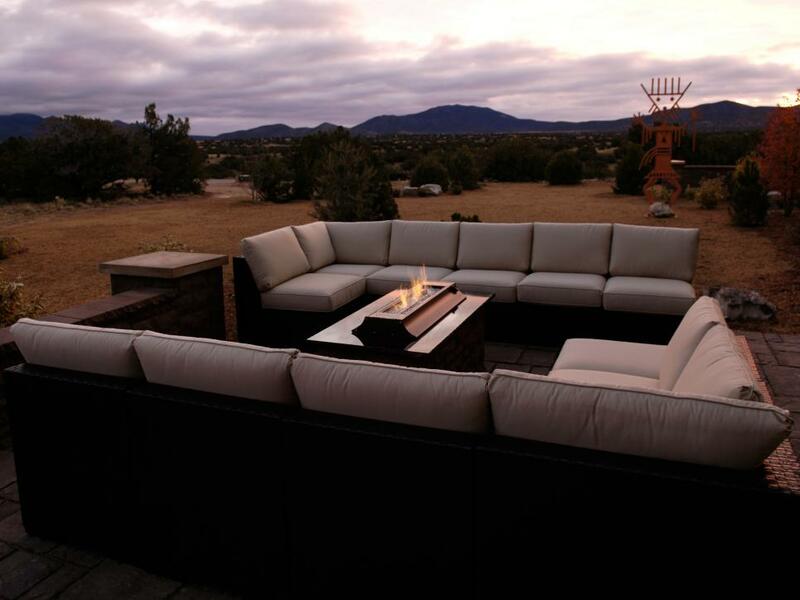 With ample seating and an outdoor gas fireplace, the back patio of the HGTV Dream Home 2010 is the perfect place to entertain. 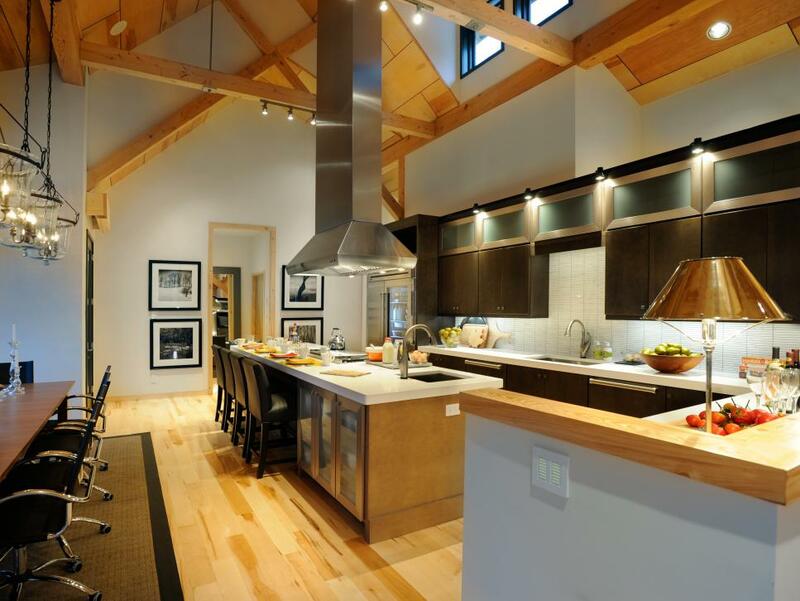 Browse all spaces from HGTV Dream Home 2010. 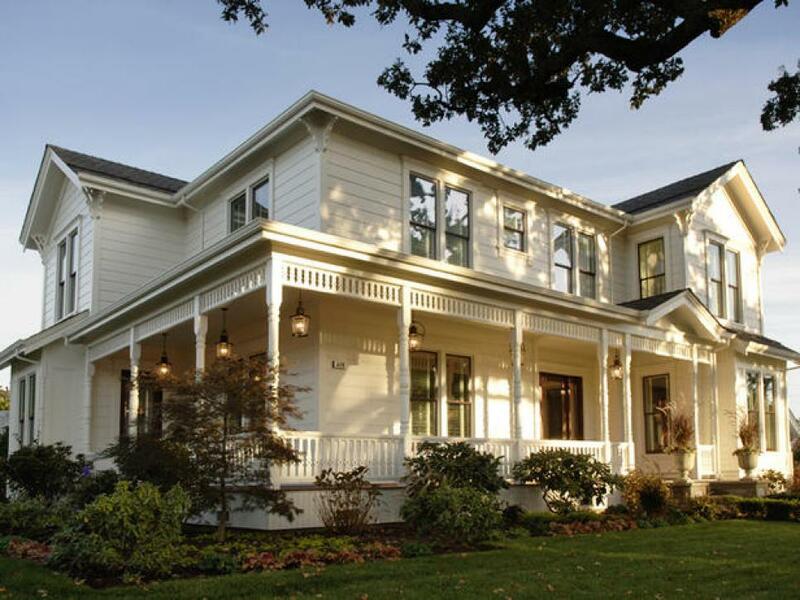 The term "farmhouse" doesn't refer to style, but rather to location and function. 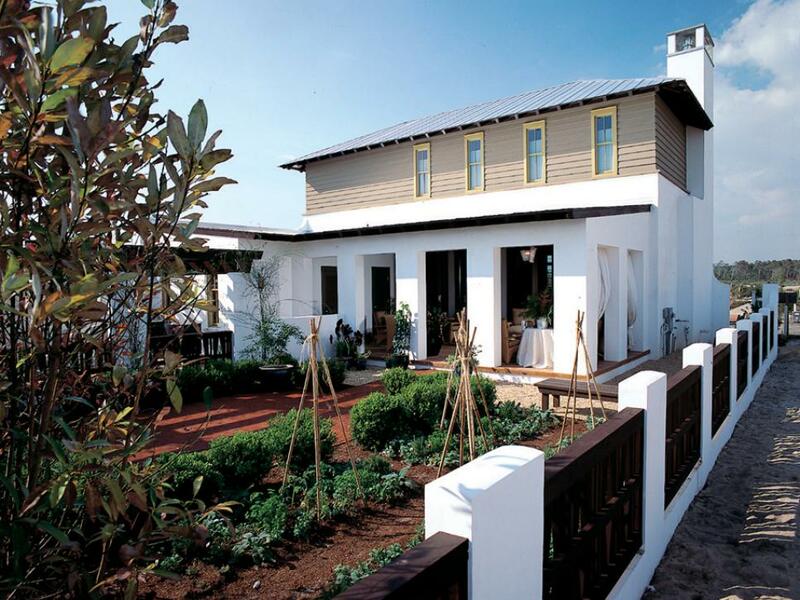 They were originally built on rural land with an emphasis on an agrarian lifestyle. Many farmhouses were modeled after popular architectural styles at the time they were built, such as Victorian and Colonial. However, farmhouses were built for need rather than design, often featuring functional porches as a transitional space creating a much more informal and inviting exterior. 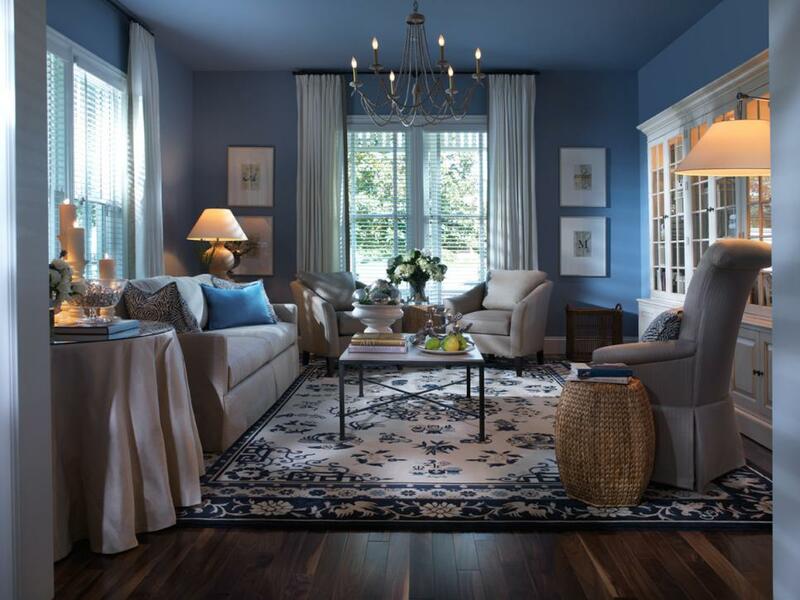 This sophisticated formal seating area is softened by calming blue walls and traditional accents. Durable and easy to clean, quartz imitates the look of granite or marble, but is more resistant to stains and scratches. Another bonus is quartz countertops come in a wide range of colors and have a uniform look, opposed to natural stone. 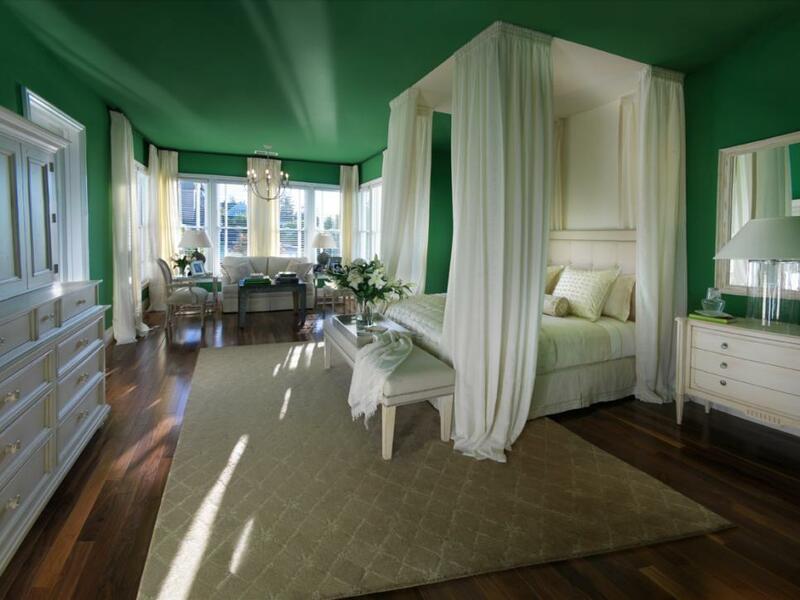 This spacious master bedroom pops with Kelly-green walls and a green ceiling. 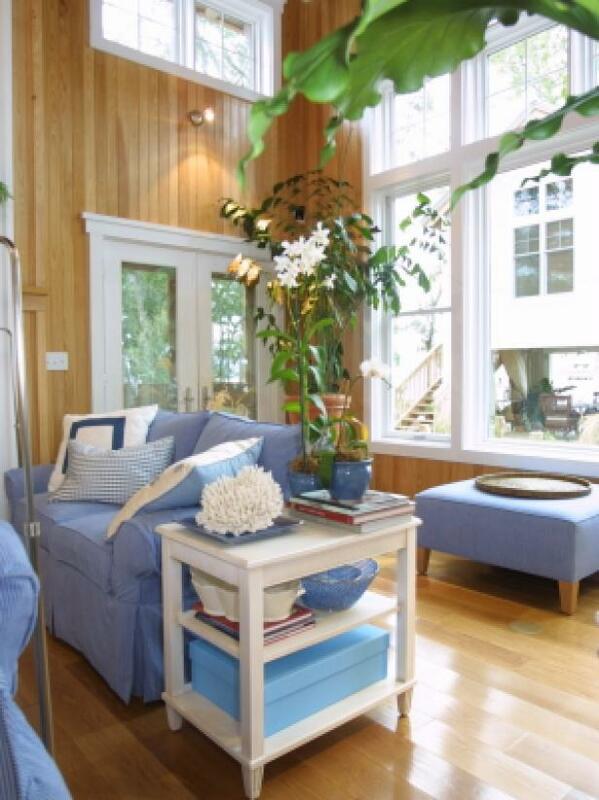 A hardwood floor provides a warm grounding for the cool white furniture. 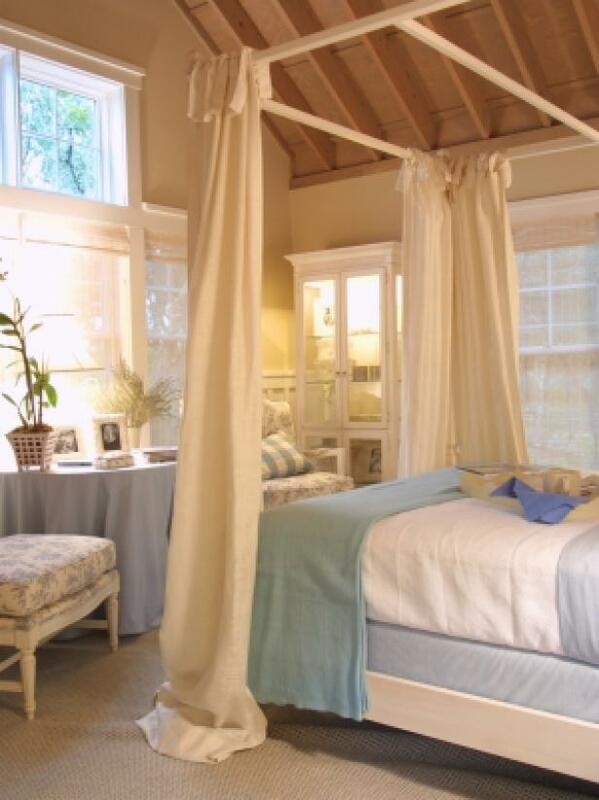 The canopy bed features puddled drapes for a private, romantic place to sleep. A rustic picnic table serves as the focal point of the enchanting rose and hydrangea-bordered courtyard. It's surrounded by all-weather vinyl chairs and topped with an oversized reproduction of an antique French candle lantern. Browse all spaces from HGTV Dream Home 2009. 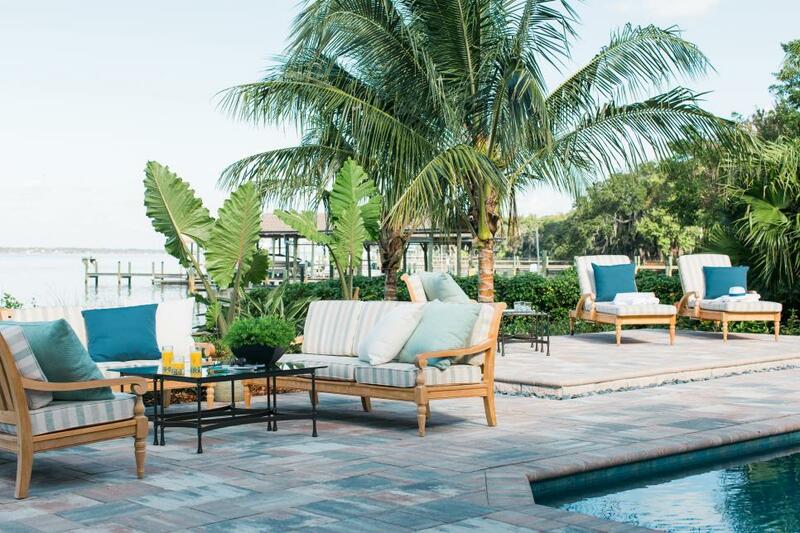 If relaxation is your priority, comfortable loungers in a dark brown wicker pattern topped with comfortable cushions in off-white are the perfect place to kick back and enjoy the Florida bay atmosphere. 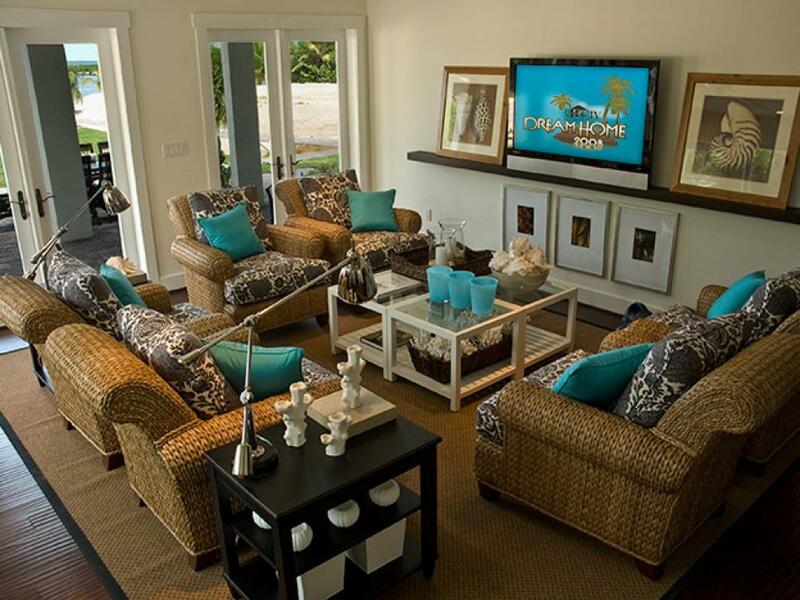 HGTV Dream Home 2008 in Islamorada, Fla. features a spacious TV room oasis. The seating area was created with comfortable wicker chairs, perfect for playing video games or watching a movie after a day at the beach. 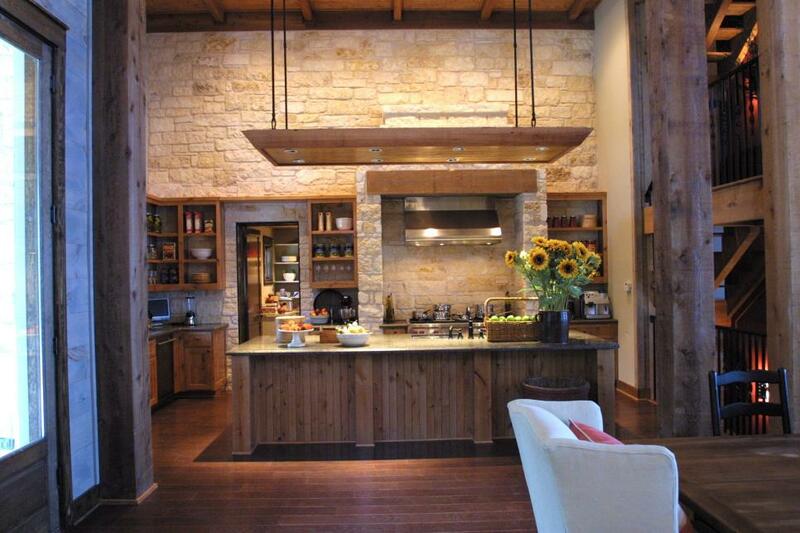 For the kitchen, interior designer Linda Woodrum created a sleek modern space accented with rustic art. 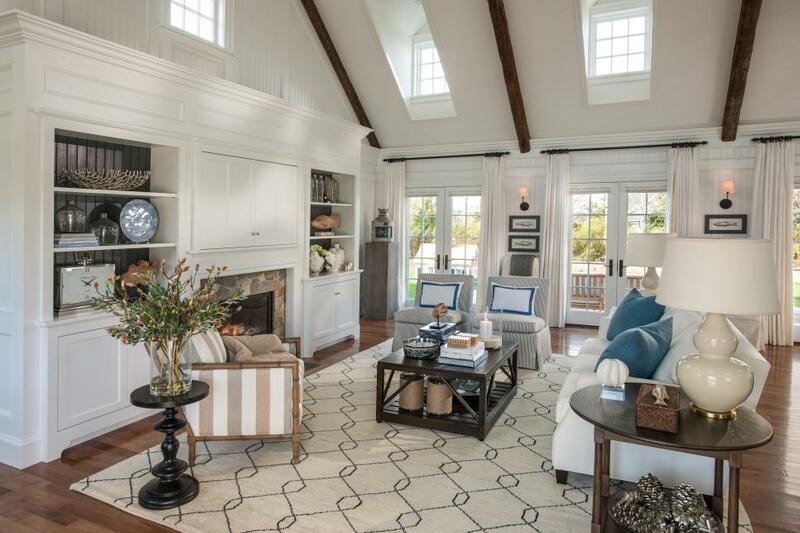 It's a well-defined space, yet very open to the living and dining areas of the second-floor great room. A U-shaped, sand-colored countertop runs from the pantry door along the back wall, then turns below three square windows and back to form a peninsula dividing the kitchen from the dining area. This coastal master bedroom in the 2008 HGTV Dream Home creates a calm feeling with simple furnishings and a creamy color palette that mimics the ocean waves. 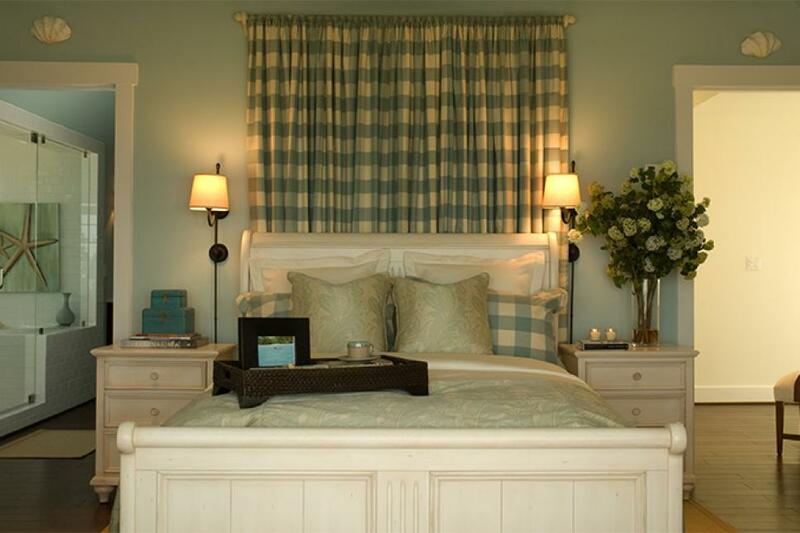 A panel of checkered drapery shows off the antique sleigh bed and accentuates the room's high ceiling. 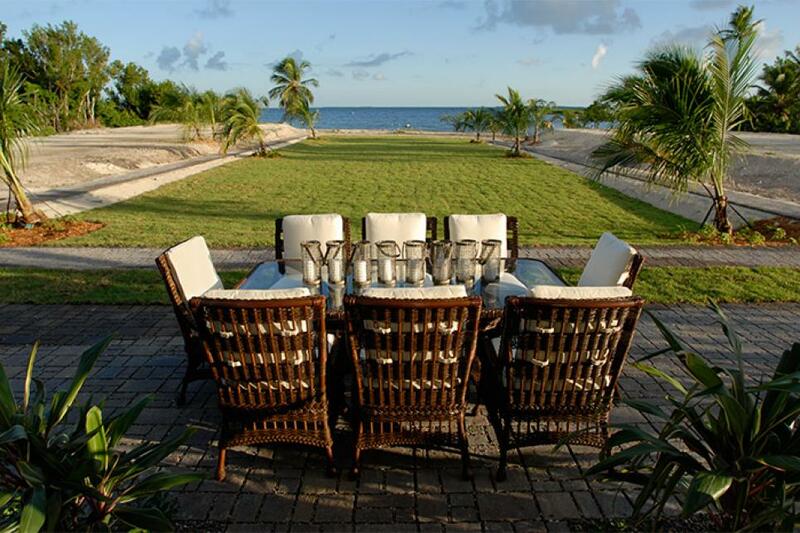 The back patio of the HGTV Dream Home 2008 features a dark wicker dining table and breathtaking view of the adjacent marina and Florida coast. Browse all spaces from HGTV Dream Home 2008. 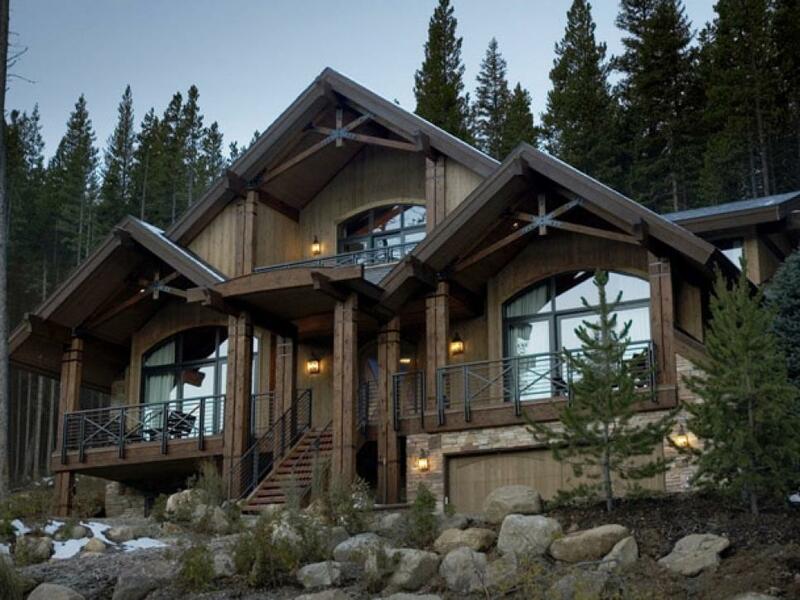 HGTV Dream Home 2007 is surrounded by lush mountain beauty and located at the base of some of the most popular trails in Winter Park, Colorado. 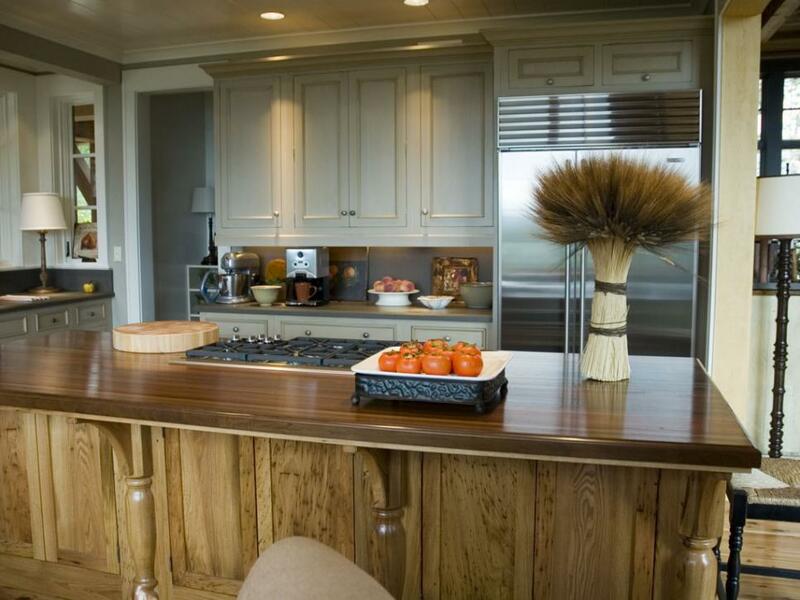 Most of us think "function first" when it comes to our kitchens, but for the HGTV Dream Home 2007 kitchen, designer Linda Woodrum brought form and function together in an elegant, casual room that's also well-planned and purposeful. "Let's face it — everyone always ends up in the kitchen at every party, after work and before dinner," she says. Colorado's colors and textures take over the house, thanks to designer Linda Woodrum's commitment to bringing the outdoors in. 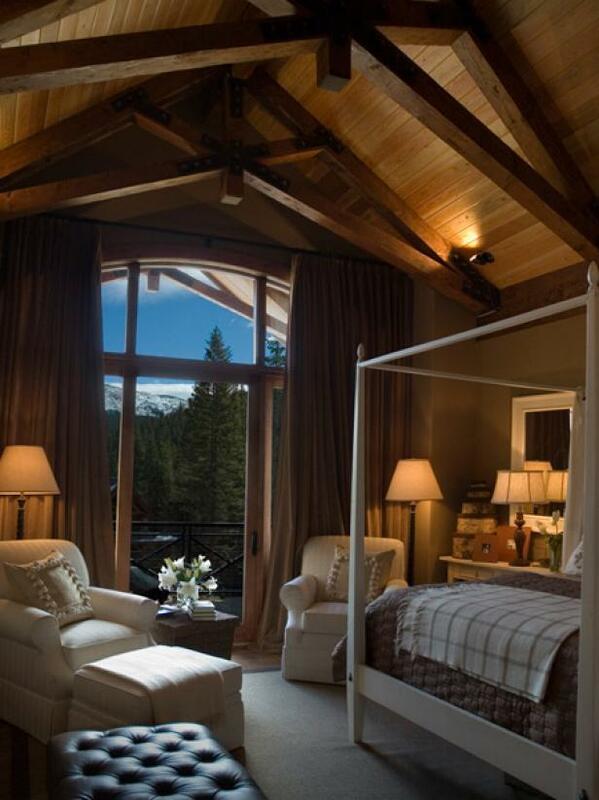 The 2007 HGTV Dream Home master bedroom offers an open sitting area inside and out, providing striking views of the Rocky Mountains. 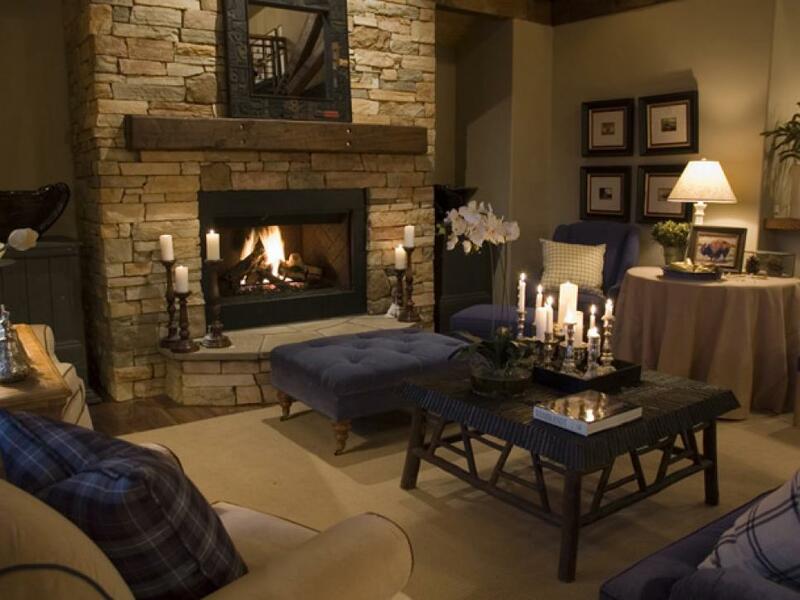 A mix of textures and a simple blend of creams and browns evoke a cozy cabin feel. 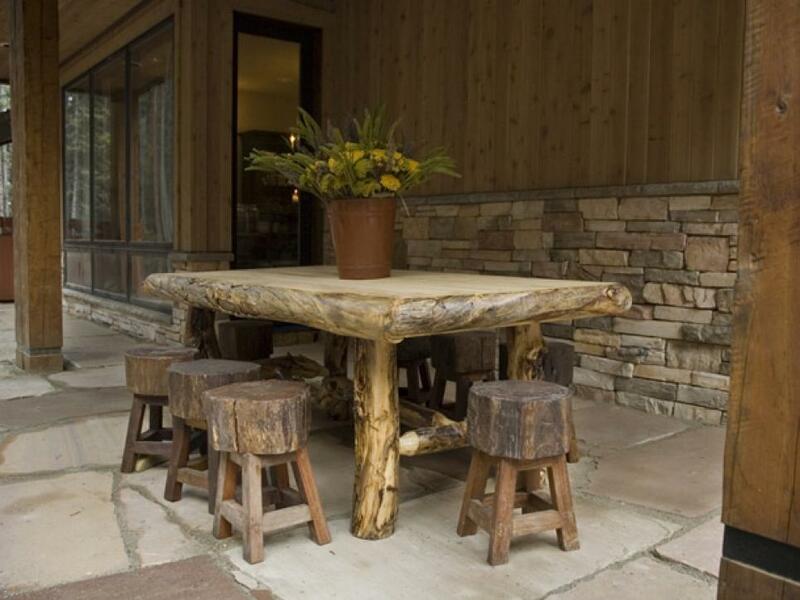 This rustic outdoor patio dining table was made from Aspen pine and recycled wood, fitting for the rustic theme of the home. Browse all spaces from HGTV Dream Home 2007. 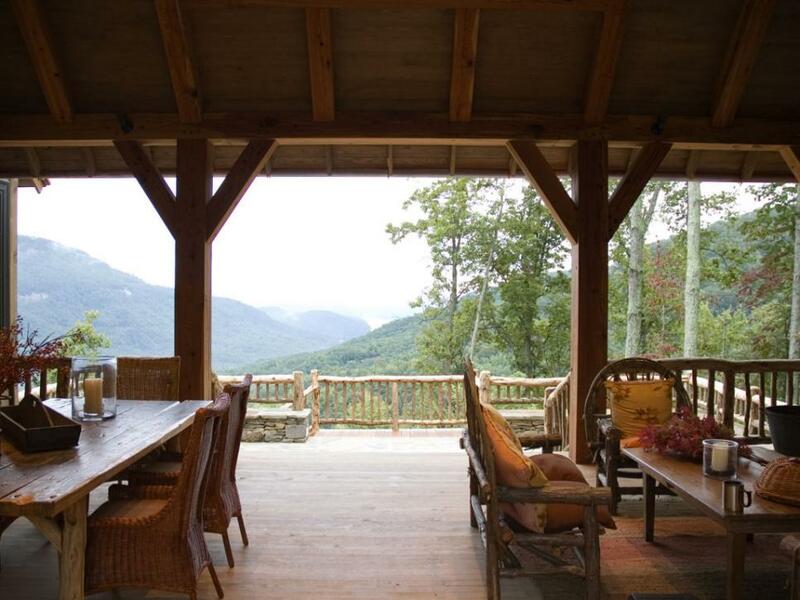 HGTV Dream Home 2006 celebrates a casual mountain living design and unparalleled views of Lake Lure, North Carolina. 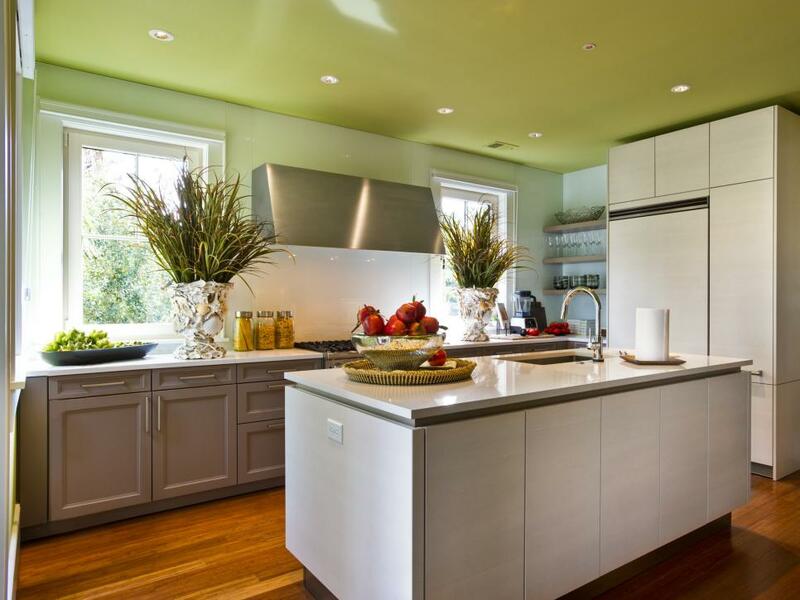 The interior designer chose a palette of colors in browns, grays, whites and greens to reflect the nature theme. 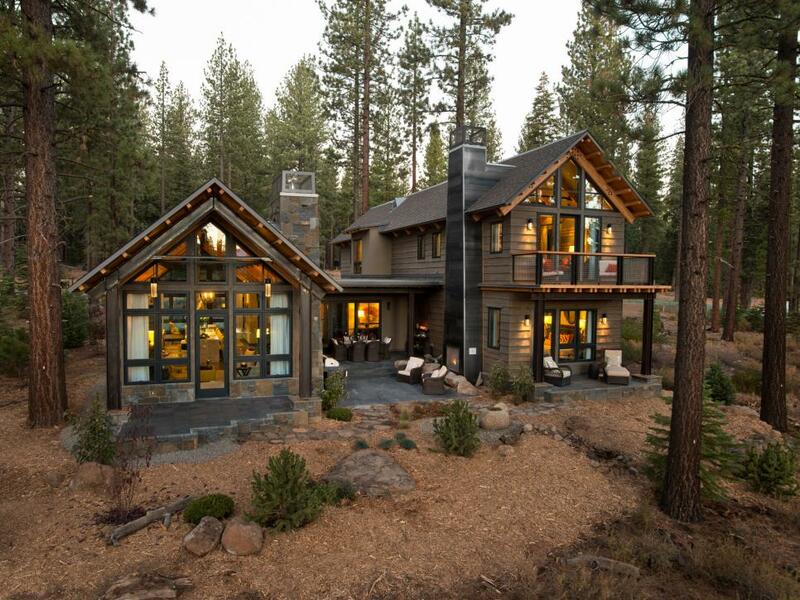 She avoided a clichéd log cabin feel by using more sophisticated colors that mirror nature. The chenille upholstery on the sofa and chairs matches the washed-out white of the sky on a hazy day; the green throw pillows and blanket are the color of moss and leaves, while the brown rug is reminiscent of the forest floor. 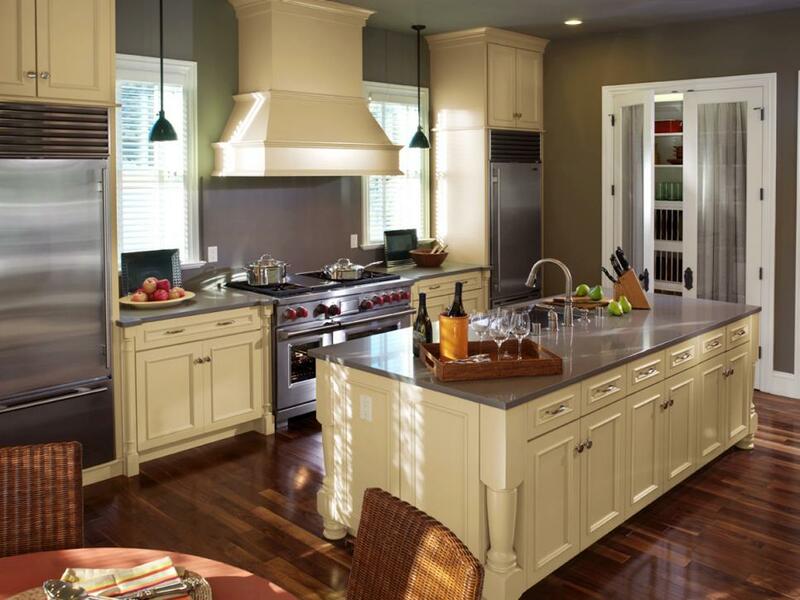 This gray transitional kitchen features a large wood kitchen island, perfect for entertaining and meal preparation. 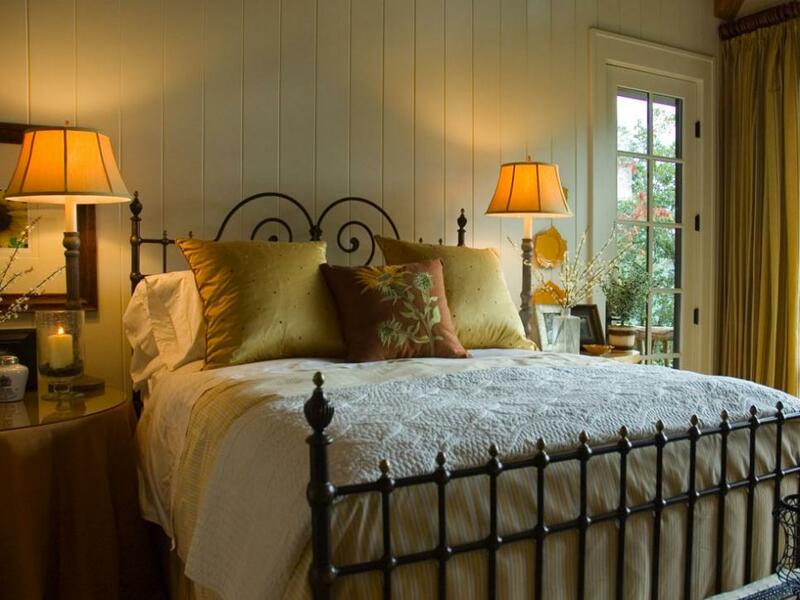 Designer Linda Woodrum compared the 2006 HGTV Dream Home master bedroom to being inside a sunflower, and it's no wonder: yellow and brown accents fill this quaint space with a warm golden glow, stirring memories of lazy summer days. The HGTV Dream Home 2006 deck with scraped wood railing provides a gorgeous view of the Blue Ridge Mountains. Rattan dining chairs around a primitive dining table provide a place for dinner and twig chairs around a coffee table provide a place for drinks. Browse all spaces from HGTV Dream Home 2006. 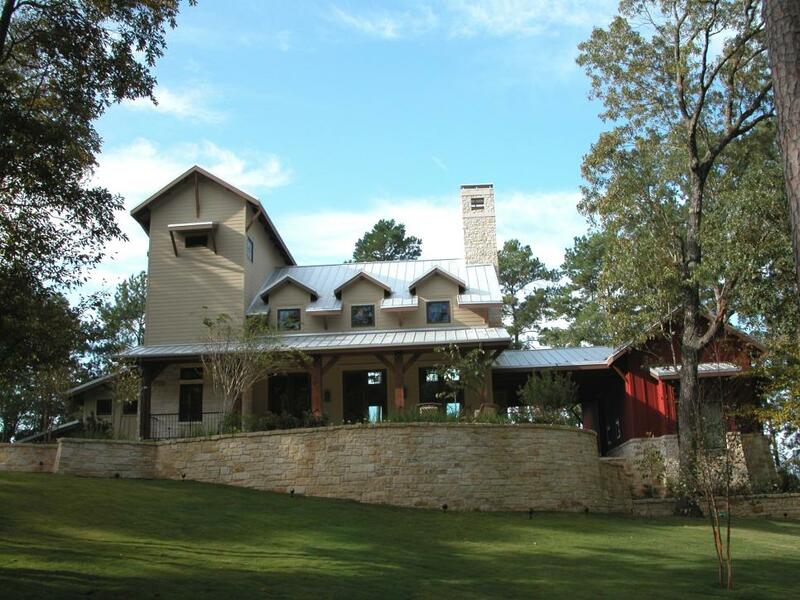 The tall chimney and soaring bunkhouse tower aim for the sky while the front porch reaches wide, with big cedar pillars and a stone floor giving HGTV Dream Home 2005 a built-to-last appeal. Open to the great room, the bucolic kitchen is defined by not only the creamy limestone and shiny stainless steel appliances, but by designer Linda Woodrum's choices as well. 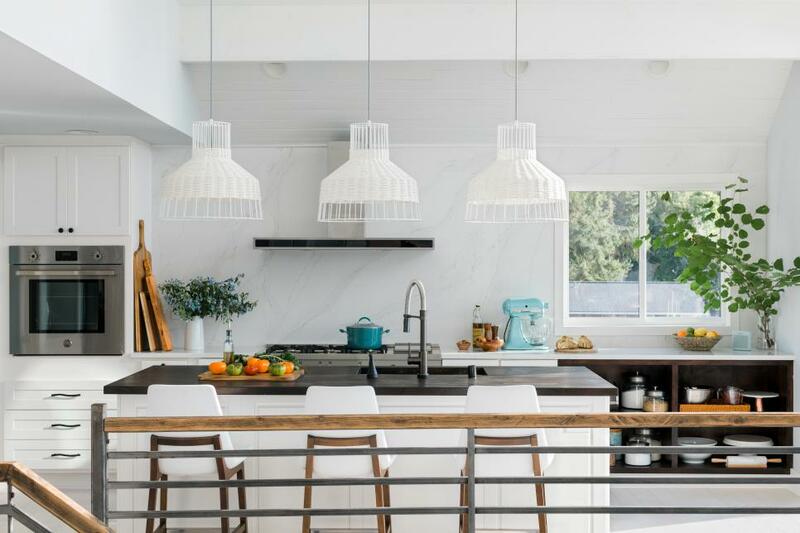 "Because of the rusticness of that stone, it seemed like it would be fun to have cabinets that are open — very simple and plain, and it's a very highly-functional kitchen," she says. 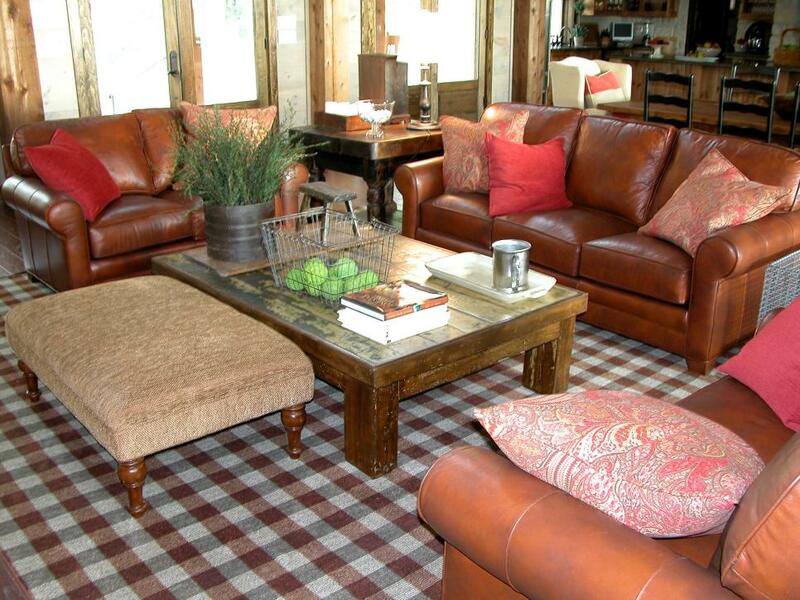 "We used standard sofa sizes and kept the leather fabrics the same," interior designer Linda Woodrum says. "They are well-grouped on a geometrically-patterned rug, and the colors in the rug pick up the copper and burnt sienna of the stone." As a fitting complement to the rug and fireplace, Linda deftly chose a large wood coffee table made from an old Mexican door. Contrasting with the barn-red exterior are the earthy interior colors and soothing views of the water and woods, transforming this master bedroom suite into a serene getaway. "It's almost like a surprise walking in," designer Linda Woodrum says. 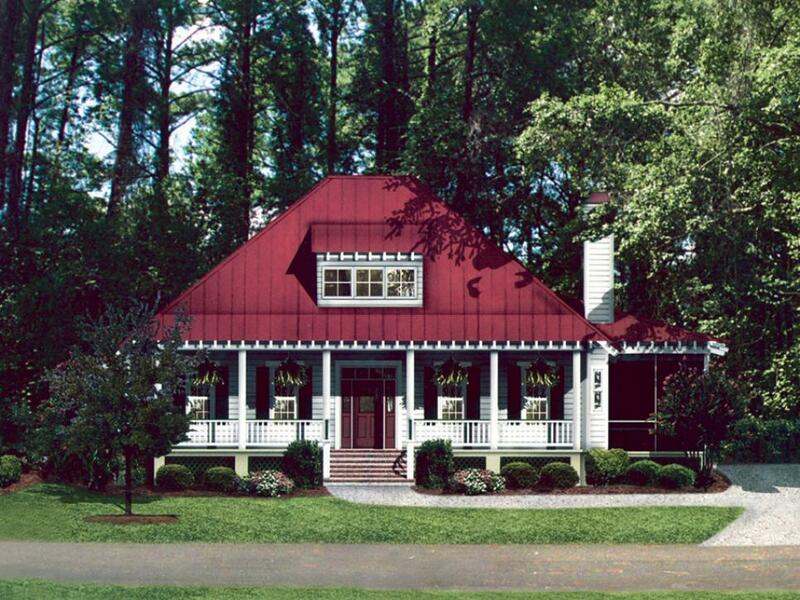 "You move from the rich, barn red into this peaceful, tranquil room that's cozy and wonderful." Linda chose suede and plaid fabrics for the bed linens, conjuring up a sophisticated yet down-home feel for a warm, rich and appealing bed. 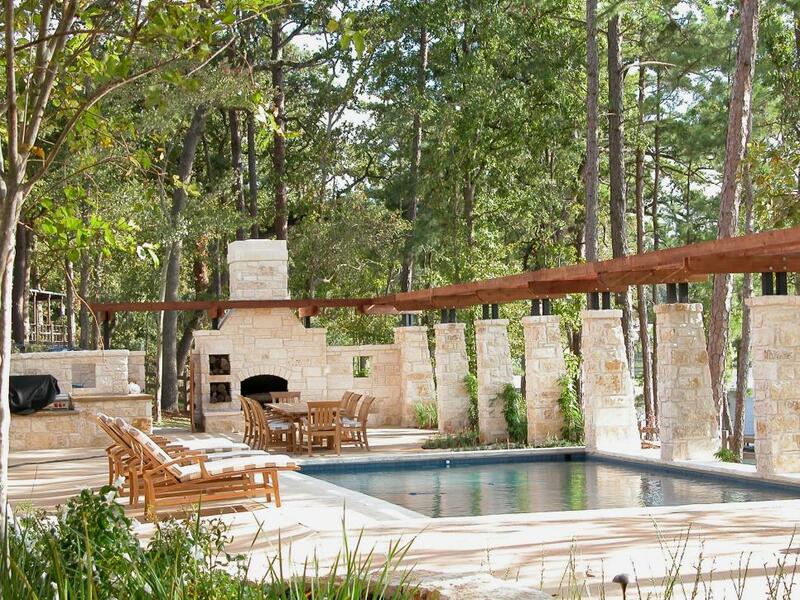 Gorgeous Texas limestone columns, topped by a stained wood arbor, surround the luxurious pool area. Browse all spaces from HGTV Dream Home 2005. 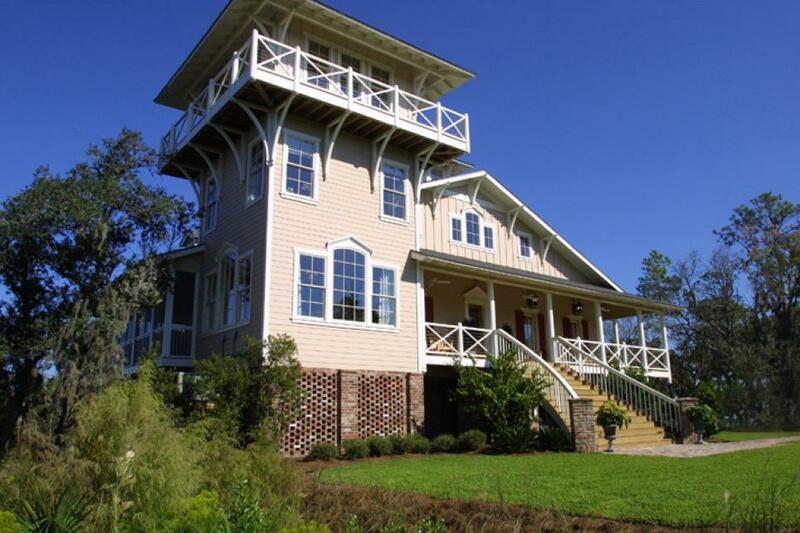 Located in St. Mary's, Ga., HGTV Dream Home 2004 is an elegant home with a classic blend of Victorian and French country style. The striking scenery of the marsh and tidal creek served as inspiration for interior designer Linda Woodrum. "We started with neutral fabric on the upholstery and built from there, which is a great approach to decorating a room when you have something really spectacular you want to enhance." Linda borrowed from the colors and textures of the surrounding marsh grasses, leaves and trees and brought them indoors. Looking up at the ceiling is a special treat when one notices the unique chandelier. 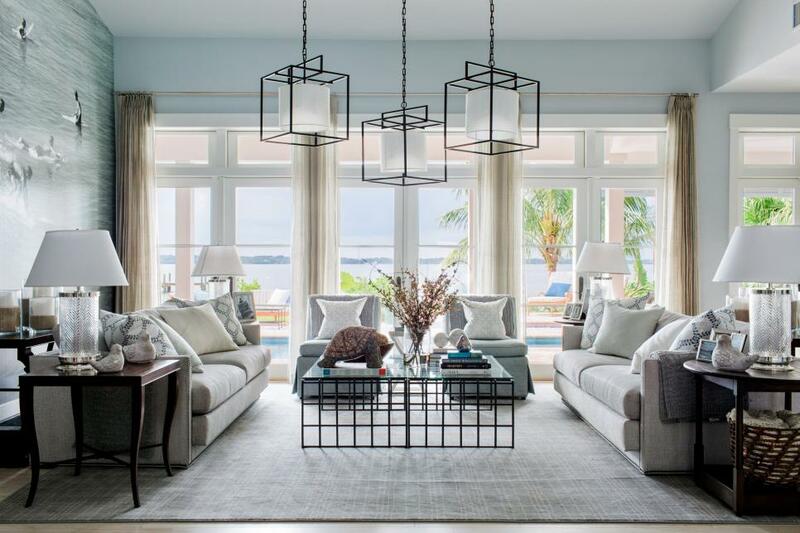 "The chandelier is wonderful," says interior designer Linda Woodrum. "It's just such a wonderful statement, very Victorian and the finishing touch in the room." The delicate balance of old and new, as well as connecting the great room and dining room, make the kitchen a vibrant social destination for family and guests alike. The master bedroom is built for a place to unwind. "It's wonderful," says interior designer Linda Woodrum. "It's so romantic, with the candles, the beautiful flowers and fabulous fabrics. It's a special spot." The sturdy teak dining table can seat six - perfect for close friends, wine and plentiful snacks. 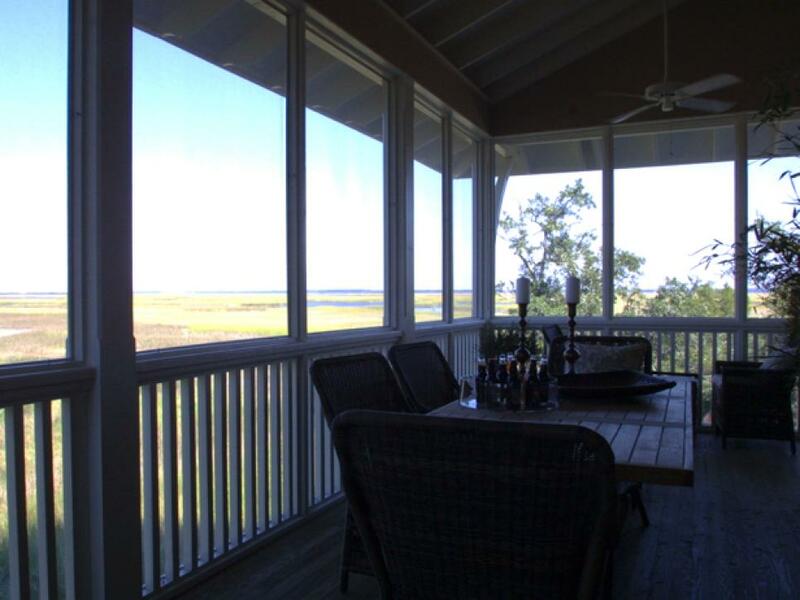 Three sets of French doors leading to the great room and dining room provide open access for mingling and approaching the expansive view of the adjacent marsh. 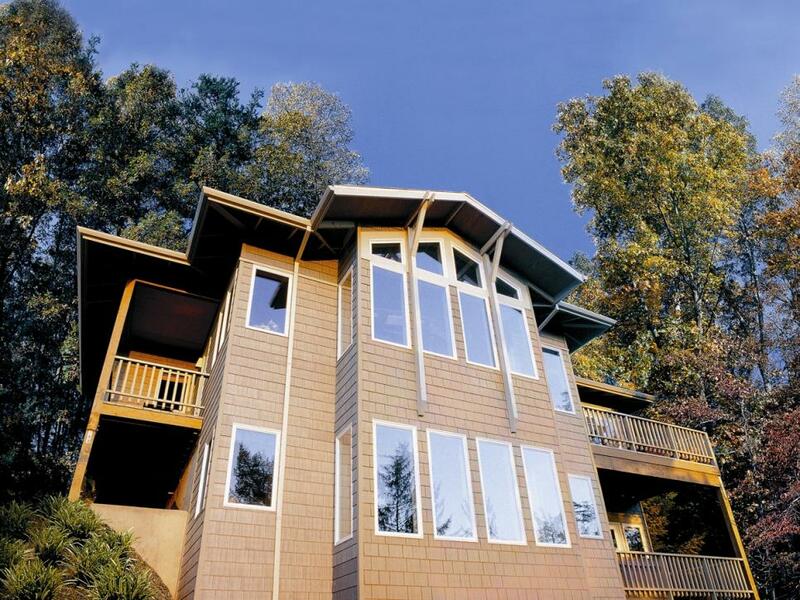 Browse all spaces from HGTV Dream Home 2004. A bay-side compound with extraordinary views and amenities, this HGTV Dream Home is a luxury retreat located in Mexico Beach, Florida. Randy, like Linda, embraces the sense of both security and drama that the room exudes. "I can imagine the house at night, before a thunderstorm... going through the actions of closing the room up, then sitting down in front of the windows and watching the lightning play out across the bay," he says. The kitchen, which is actually a section of the great room, allows the eyes to travel directly from the picture window to the cooking area with an unbroken view of the water. Designer Linda Woodrum wanted guests of HGTV Dream Home 2003 to feel surrounded by the same luxury and romance as the master bedroom suite. 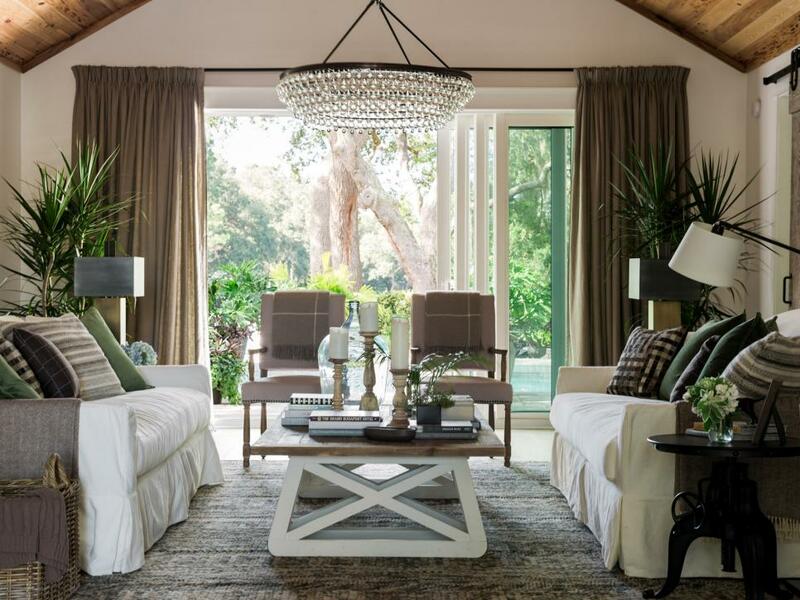 A cream-colored canopy adds to the dreamy cottage feel of the space and complements the tall, angled ceiling. 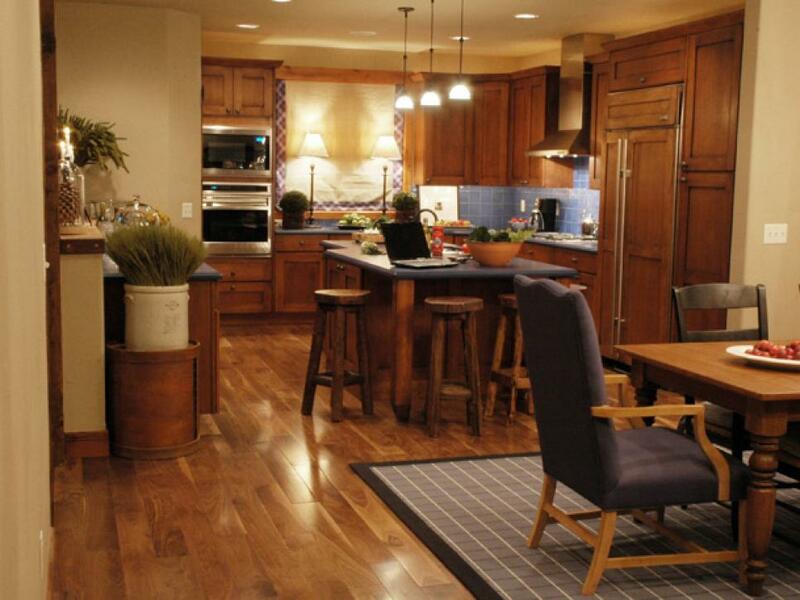 Browse all spaces from HGTV Dream Home 2003. 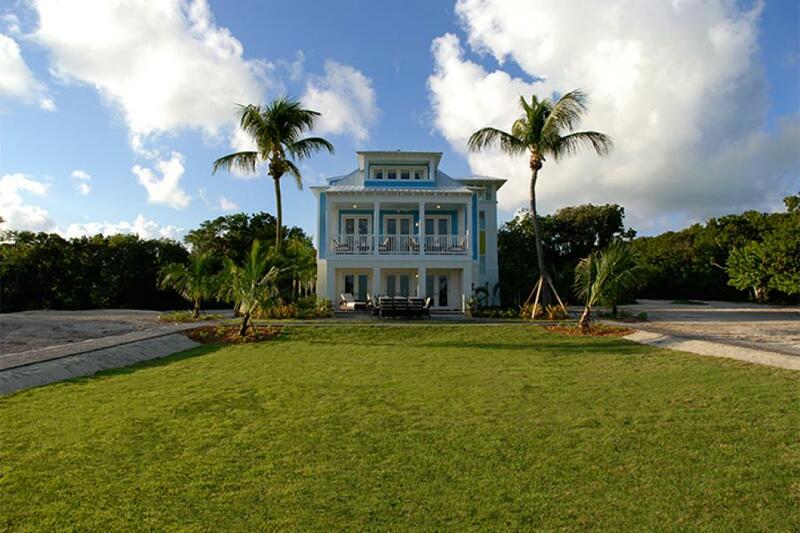 HGTV Dream Home 2002 is located minutes from the historic port town of St. Michaels, also known as "the town that fooled the British," and is convenient to metropolitan areas. See more from HGTV Dream Home 2002. Located near Camden, Maine, HGTV Dream Home 2001 is a classic New England shingle-style cottage overlooking historic Penobscot Bay. 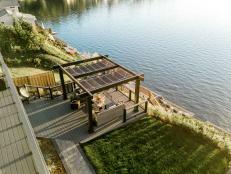 See more from HGTV Dream Home 2001. 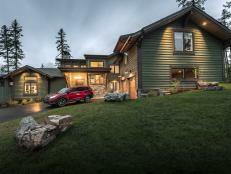 Nestled in the woodlands overlooking Oregon's breathtaking Nehalem peninsula, HGTV Dream Home 2000, a modified Craftsman-style home, exudes rugged Northwest style. 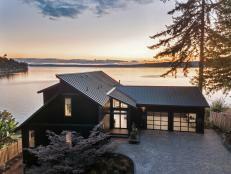 See more from HGTV Dream Home 2000. 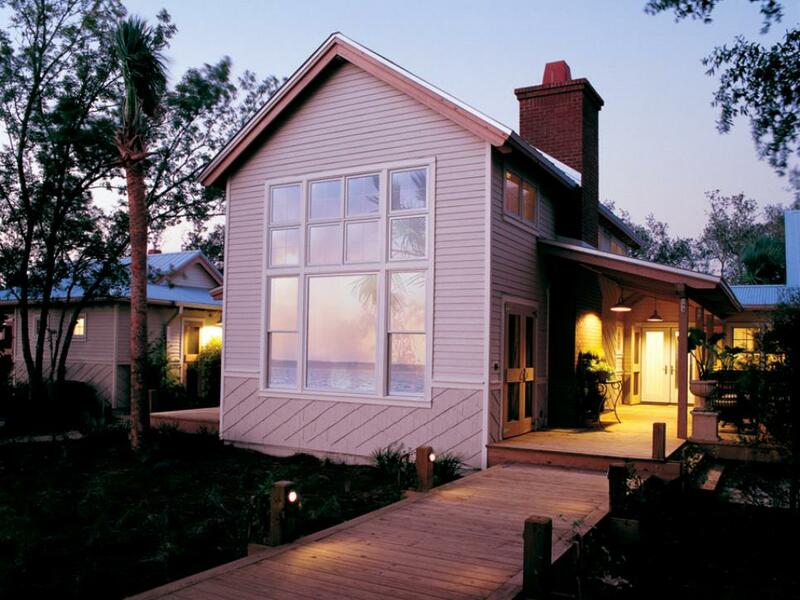 HGTV Dream Home 1999, a glorious tropical retreat in Rosemary Beach, FL, is a dream come true in architecture and decor. See more from HGTV Dream Home 1999. This South Carolina home welcomes visitors with its obvious Southern charm and eye-catching architectural elements. 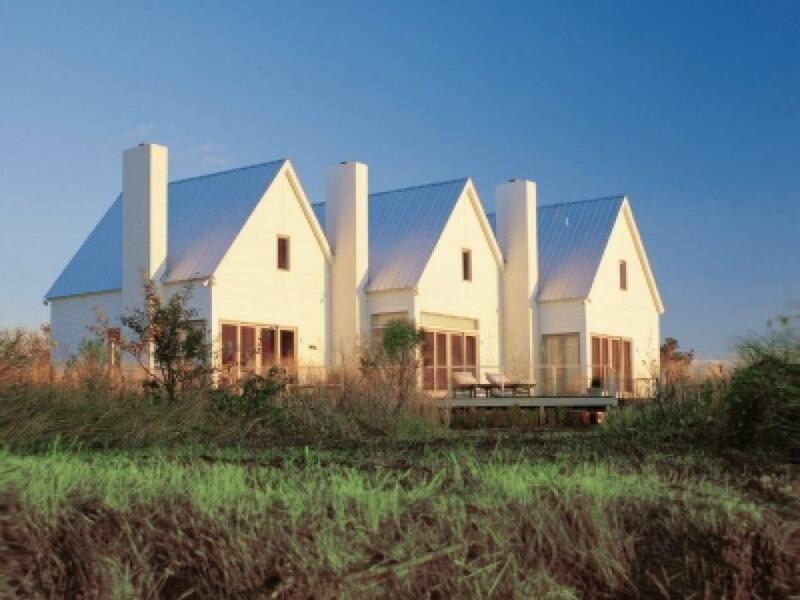 Its angular, tin red roof and raised-ground floor are common sites on this part of the Southern coast, located just outside Beaufort, SC. See more from HGTV Dream Home 1998. HGTV Dream Home 1997 marked the start of an exciting annual project. Take a trip to Jackson Hole, WY, and discover the rustic charm that made HGTV's first Dream Home a warm and cozy success. 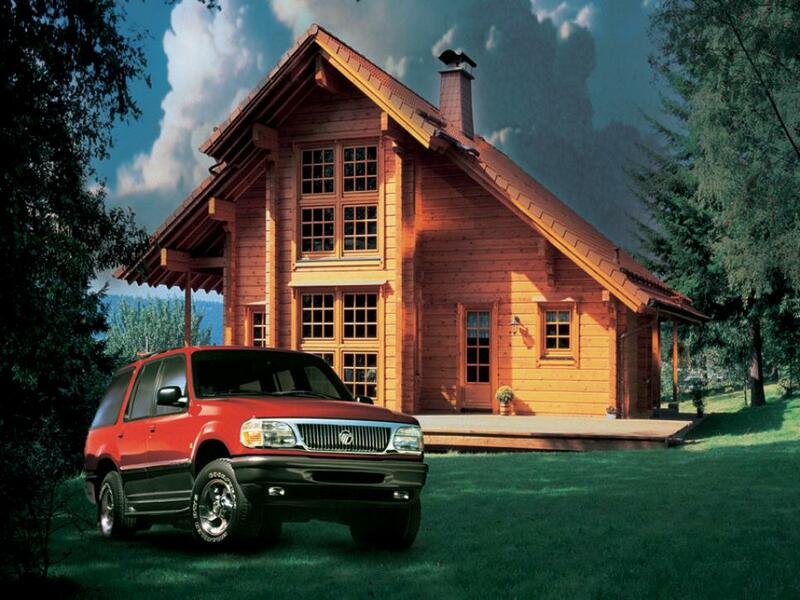 See more from HGTV Dream Home 1997.